It’s been a long time since I’ve written. Don’t judge. Life has been hectic. I’ve got one kid in each school division this year: elementary, middle and high school. To say that life is crazy is an understatement. Add to that the fact that we live in CHINA and hopefully you’ll find it in your hearts to forgive me. The holiday season, Christmas season, is upon us. As expats in China, our holidays are readily accepted here. Thanksgiving, Easter, Halloween, Christmas. The Chinese have way more holidays – So. Many. Holidays. 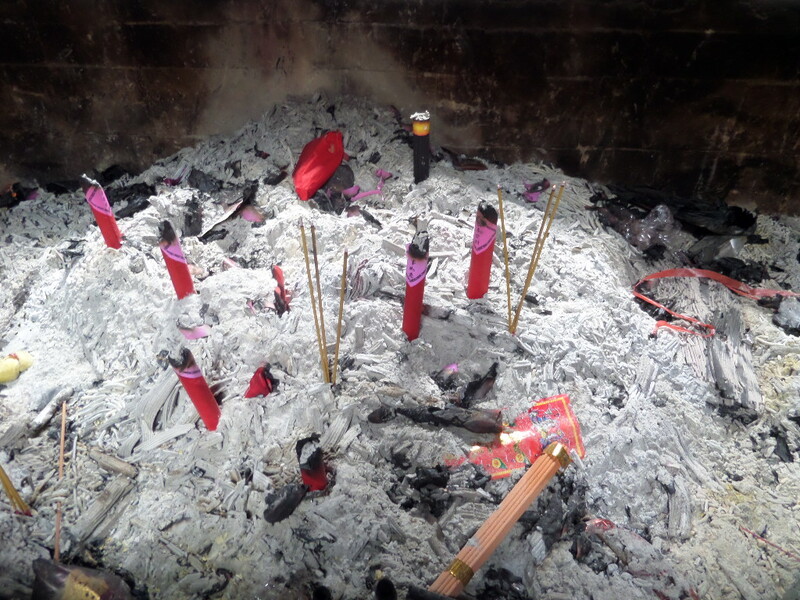 They’ve got Chinese New Year (actually a week), Tomb Sweeping day, October holiday (another week), Dragon Boat Festival, Ghost Festival, Moon Festival… the list goes on and on. Add them all together and there always seems to be something to celebrate in China! This year, single Chinese people bought 9.3 BILLION dollars worth of stuff. In 24 hours. It’s the biggest shopping holiday in the world – four times bigger than the US “Cyber Monday”. 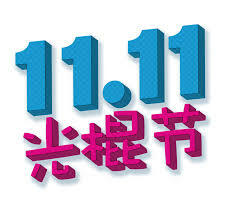 According to Business Week, “Popular lore in China has it that Singles Day began as a lark in the mid-1990s. University students created the holiday, which they called guanggun jie, or bare branches festival, and picked the date 11/11 for its visual symbolism. They used to go to karaoke bars, eat youtiao—fried dough strips that resemble the number 1—and celebrate being unmarried in a culture that doesn’t generally. Alibaba appropriated the idea and introduced the first Singles Day sale in 2009.” There was also a big sale on 12/12 but I can’t seem to understand why? The Chinese also really enjoy Christmas. The stores are decked out, sometimes oddly, but decorated nonetheless. They play jingle bells over and over. Dancing Santas abound. 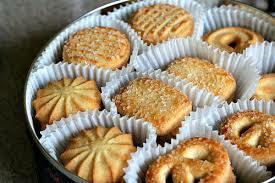 Apparently the Chinese like to give butter cookies as gifts for the holidays because they are everywhere! In China, Santa Claus is called 圣诞老人; Old Christmas Man. A friend found some santas dressed in orange at a local mall. Sorry, I don’t have a photo. Something new that is becoming popular with the Chinese is giving apples on Christmas Eve. Many stores have apples wrapped up in colored paper for sale. People give apples on Christmas Eve because in Chinese, Christmas Eve is called ‘Ping An Ye’ (which means quiet or silent night) and the word for apple in Chinese is ‘Ping Guo’ which sounds similar. (Not to be confused with the catchy tune, “Xiao Ping Guo“, which you will never get out of your head once you hear it. Be warned. Click the link if you dare. 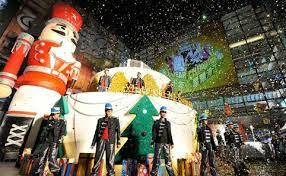 China is also the Christmas manufacturing capital of the world. The X’Mas Village in Yiwu, China, is produces 60% of the world’s Christmas “stuff” – and 90% of the Christmas goods to be sold in China. These “red factories” have been featured in the news lately, showing the horrible conditions and highlighting the cheap labor. 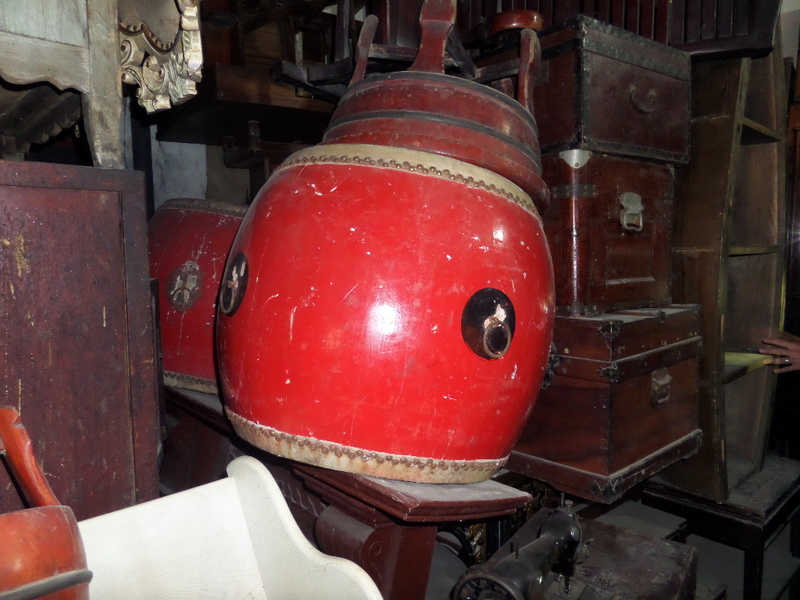 Photo – “Red Factory” in Yiwu, China. Chinese workers putting the gifts directly into people’s homes. Last year, I had a very hard time at Christmas. We don’t overdo Christmas – anymore. I’ll admit that when my kids were young, we/I did. But for years now, Santa brings 3 gifts each and my husband and I don’t “give” the kids anything for Christmas. Granted, we took the kids to Thailand last year and rode elephants on Christmas. That probably should have been enough. But when we returned, I really wanted the three Santa gifts to be under the tree. He had a very hard time finding good, meaningful gifts for my family. That’s because he/I had only dabbled in the glory that is – TAOBAO. This year, I have done 99% of my Christmas shopping on Taobao. 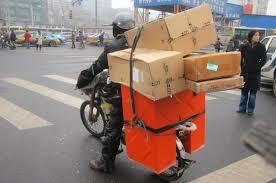 Taobao is China’s answer to Amazon.com. It’s Amazon on steroids. Seriously, you can get anything on Taobao. 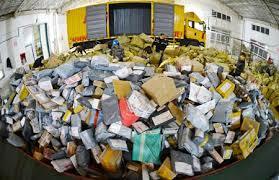 Most of it probably comes through Yiwu…and it will arrive at your doorstop within a day or two. Pretty amazing. I’ve ordered a custom made “Dead Pool” Halloween costume, mini terra-cotta warriors, split baby pants, fur lined leggings, and all sorts of gifts. 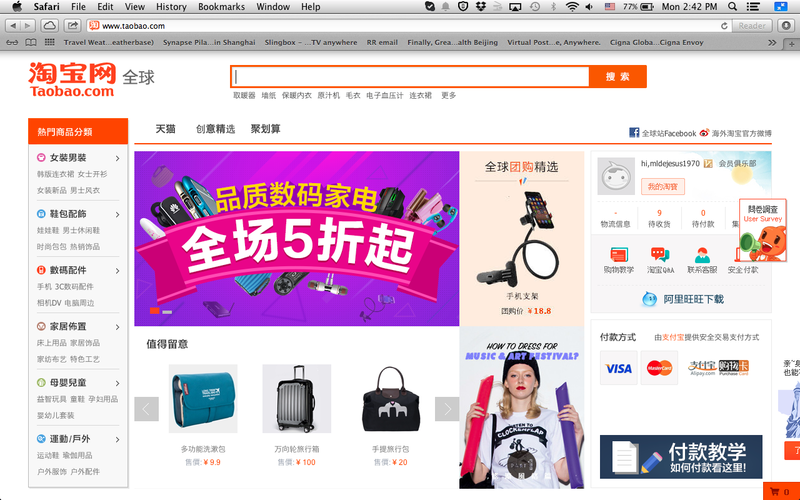 When shopping on Taobao, you need to run the website through Google Chrome to get the translations. You can either search in Chinese or English, but often if you search in English? The prices are higher. No lie. As a source of comic relief, I like to share some of the translations with my friends in the US. They make me laugh out loud. I hope you enjoy them too! (I prefer to read them aloud in a Morgan Freeman voice.) Happy holidays! That must be your self-mutilation. Delicate soft skin-friendly cotton knitted fabrics particularly sensitive skin M clothes so do not worry about not wearing a fat stick. fabric buttons miscellaneous line there is a sense of leaders echoed the same color tones. Mimi hit it with both eyes. Casual code skinny people can wear comfortable clothes feeling good. No matter what the occasion is formal or casual fit or do you want to open the heart with absolute pregnant with chic wish? Thin models can not wear thick spring and autumn and winter into several proposed multi-color for the wear. It is nice and comfortable cabbage price is not. Free shipping promotional classic fashion diamond bracelet. star lesbian couple bracelet with titanium steel 18K jewelry are titanium steel, medical health materials, does not produce allergic reactions , many allergies! girls personally verified! General quality of the non-market can be compared. OUR baby to sell at wholesale prices, the highest absolute quality, cost-effective support of confinement! Baby is the lowest, do not bargain, do not wipe zero, do not embarrass the pro-customer, oh! Amy is everyone’s nature, each mother is the only way a woman gave birth to a little baby belly will inevitably be, how to do the most perfect harmony between the happy mother and beautiful? The swimsuit pleated side using a special process shrink, wrinkle reduction throughout the entire length of the sides of the large amount of wrinkle reduction makes the perfect cover pot, with a pot belly folded, no pot will not seem cumbersome, Truly there is no pot are the same flawless. Photographer truthfully say: get a good hand light. Yeah, filmed bag of this size can be said that the weight was the first time, open the dust bag, touch the “fleshy” bag, although it is waterproof nylon but feel not feel shriveled thin but very dense and smooth soft but not limp did not type. Traces neat workmanship, exquisite workmanship is necessary, the big fashion movement designed to make small backpack green. And very practical. Wish Bone is actually chicken sternum (Last mom bought whole chicken, I also get that a “Wish Bone”, huh, huh). In Western legend, two people were holding a “wishbone” forked two, their wish, and then to pull the respective directions wishbone snapped. Who is there to get big, who wishes will be realized. So make a wish bone is the Western tradition vow signs become popular in Europe and America fashion element. Our summer vacation. In our empty house. In the US. Needless to say, we were a spectacle and no doubt, the subject of many photos in Xi’an. 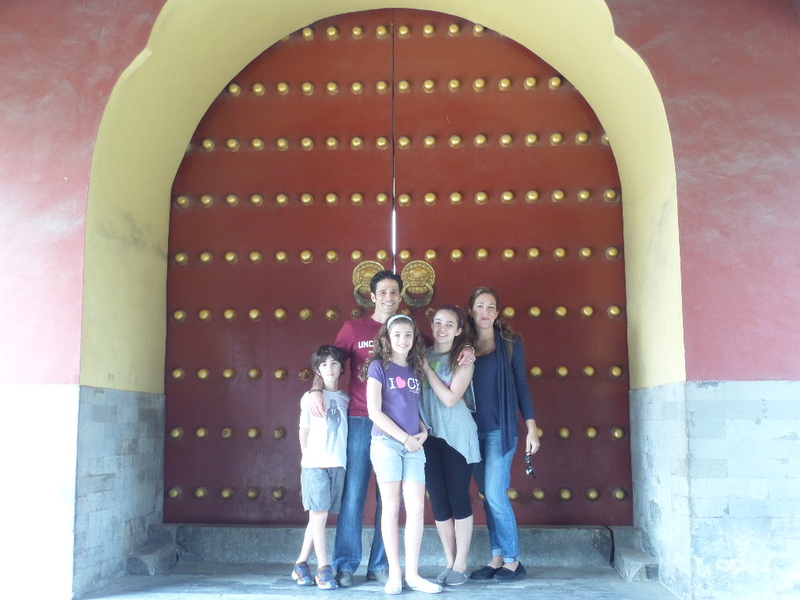 Our descent into summer began with that whirlwind overnight trip to Xi’an (home of the terracotta warriors), unpacking and repacking then leaving for the US the next day. I traveled alone with my three children back to the “promised land” and it went well. They’ve become such seasoned travelers…it makes me proud. Due to multiple delays, we arrived in the US around midnight. Hungry, tired, wired, excited. We hopped in the rental car and cruised back to our “home”. An empty house in Cincinnati. A great friend supplied basics in my garage – sheets, towels, dishes and blankets. I sent the kids off to shower the “travel scum” away as I went out the door – DRIVING MYSELF – to seek out food. At 1:00am. My search led me to Wal-Mart. The only place open at that hour. God bless America and its consumerism. I was oddly disappointed that the store was almost empty. There were a couple of moms of newborns wandering the aisles and the night shift was busy stocking shelves. I had to contain my joy. I really wanted to dance down the aisles while singing – I may have actually done it. I don’t remember. I was exhausted. I grabbed some basics and headed home, we got to bed around 3am and the jet lag began. We all had it in different phases, so it seemed that one of us was always asleep. For a week. -traveling to Connecticut to visit my family, hanging out with my crew of cousins (15 of them PLUS all their kids! ), hitting the beach, ziplining and eating pizza at Pepe’s in New Haven. Naturally. We’ve have a great time here, visiting friends and family and enjoying the shockingly clean air. No lie, every morning I gasp in wonderment. So. Clean. Unfortunately also full of pollen. We don’t seem to have that problem in Shanghai. Although I’m having fun here, stateside, I’m ready to go back. Home. To China. I’m kind of missing the daily craziness of living in a culture so dramatically different from my own. While out for an amazing dinner with friends, we were asked for three “takeaways” from our first year in China. The first and foremost for me is the daily adrenaline rush associated with the constant exposure to a different culture. There’s an article making its way around the ‘web, 17 things that change forever when you live abroad, that mentions this. Everyday something happens that gives me that adrenaline rush. In the US this summer, the only time that happened was when some loser cut me off on the highway. Getting used to living with a heightened sense of my surroundings has made me a very different person. In China, it can be gazing in wonderment at the worlds second tallest skyscraper growing before my eyes – or it an be the guy holding a live turtle on a stick. (Selling it for turtle soup.) Either way, it’s a rush. Building? Astonishment. Turtle guy? Grossout. A second “takeaway” would have to be travel. 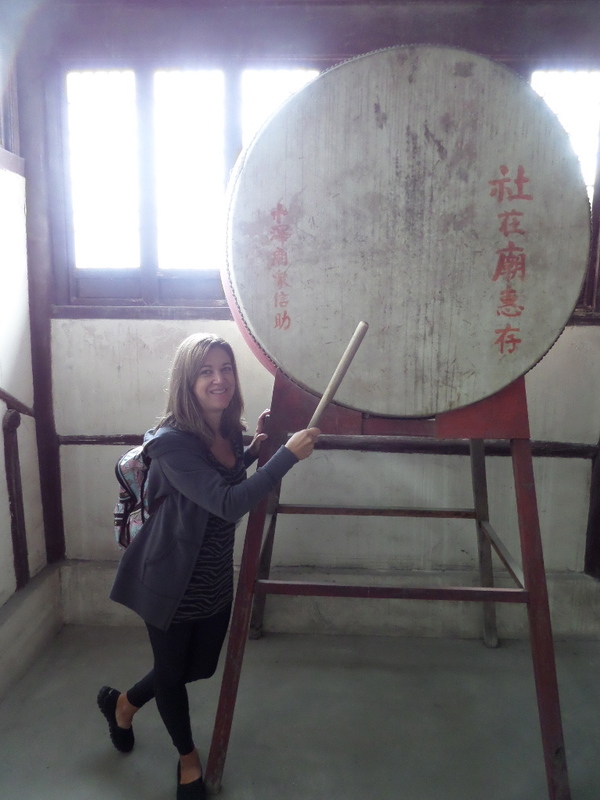 We’ve had amazing travel opportunities this past year, Bali, Thailand, Beijing and Xi’an. Next year we plan to travel to Cambodia, Myanmar and Hawaii. 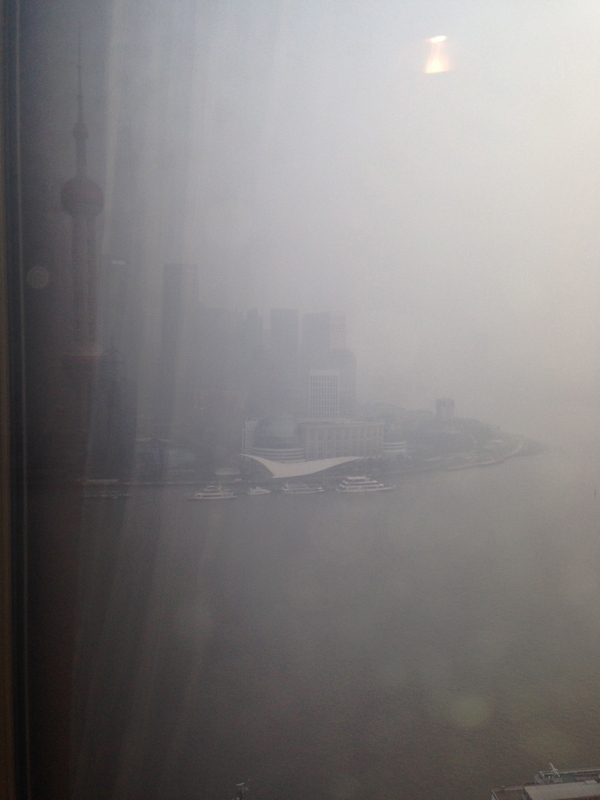 We’re staying in Shanghai over the October holidays to enjoy the (purportedly!) beautiful weather. And to save some cash because although we are close to so many amazing destinations, travel with a family of five is never cheap. Anywhere. A third “takeaway” would be that I miss my independence. As an American woman, I’m used to doing what I want, when I want to. In my own car. On my own time. Not so in China. In China, I’m dependent on our driver whom I share with my husband. Sounds glamorous? Nope. Not at all. Everything must be planned and the logistics of evening activities can get quite crazy. And there’s a major lack of privacy – my driver knows everything I do and everywhere I go. A lot of my friends have scooters, but I don’t. Yet. I ride my bike and that affords me a bit of independence, but a scooter would be better. On the other hand, having a driver lets me text and ride. And we never have to designate a driver. He’s always there! I love you, USA. I love your freedom, fresh air and water, endless grocery stores, Target, size 9 shoes, over-the-counter medications and your people. My people. My Měiguó rén (美国人) friends and family. I’ll miss you all this coming year. Remember, we always welcome visitors. Come back with my sister-in-law, remember – she’s not done with Shanghai yet. And neither am I. Traditional Chinese Medicine originated in ancient China and involves acupuncture, herbal medicine, massage, cupping and moxibustion (burning herbs over the skin). It’s huge in China, but you might be interested to know that there are over 10,000 TCM practitioners in the US serving 1,000,000 Americans each year. I thought I’d give it a try. Why not? I chose a clinic based on a friend’s recommendation and nervously made my first appointment. The day arrived, and off I went. The clinic is very “Western” in nature and also offers traditional medicine and testing. However, they are best known for their Chinese medicine. I met with two doctors, both TCM practitioners. Dr. W., the asthma/lung specialist, spoke only Chinese and the other helped translate. As I looked out the window from the 13th floor, I realized I could barely see buildings in the distance. It was that kind of day. These tall buildings should be seen clearly from this distance. They were not. THAT kind of day. Dr. W. asked me some very specific questions, as though she already knew what my answers would be. Like – “You don’t wake at night wheezing, right?” “You are always cold and wear a scarf, right?” (I was not wearing a scarf that day, but I usually do.) “You’re always cold, right?” Yes. “You are very sensitive to smell, right?” Yes. On and on it went. Some questions were very personal, and I answered them directly. Then she checked my tongue. Very closely. She also listened to my lungs and they checked my pulses in my wrist. 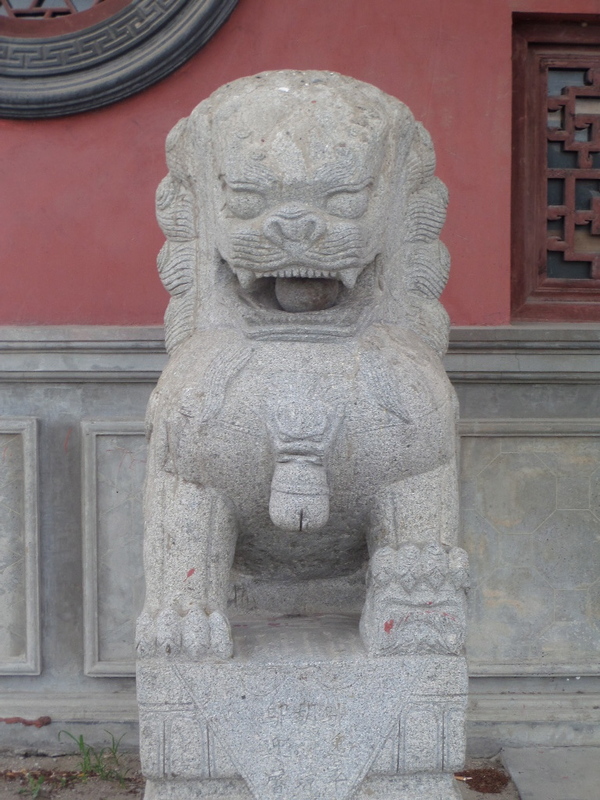 According to TCM, the appearance of the tongue is very telling. A “normal” tongue is pink or red in color. As expected, right? Some variations can be: red tongue tip scarlet tongue body, pale tongue and green tongue. Not sure what a green tongue signifies, but it cannot be good. The wrist pulses can tell the practitioner about the health of your qi, blood and organs. My diagnosis? My qi (energy flow) is severely imbalanced. My spleen is weak and I am “sensitive to toxins”. Specifically, air pollution. I’m not surprised. The doctor prescribed tea and acupuncture for me. I know you’re thinking that these ingredients sound really good? Licorice tea? Peach kernel? I assure you. They are horrific. 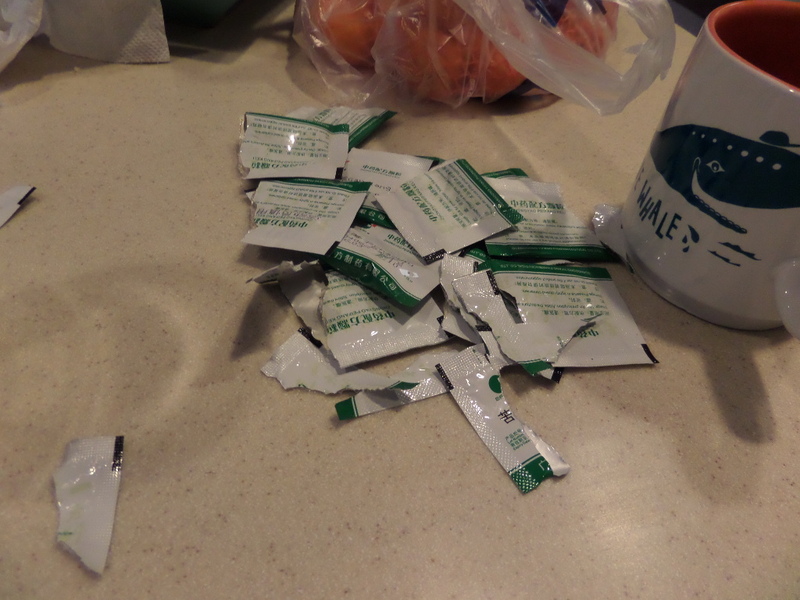 Tea packets. At this point I was excited and positive about trying TCM tea! 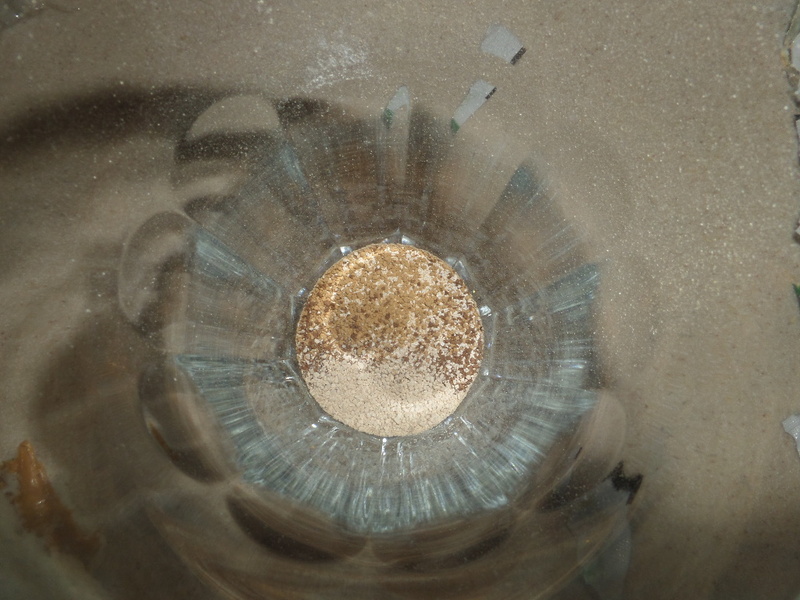 Then I put the powder into the glass. And smelled it. My attitude began to change. 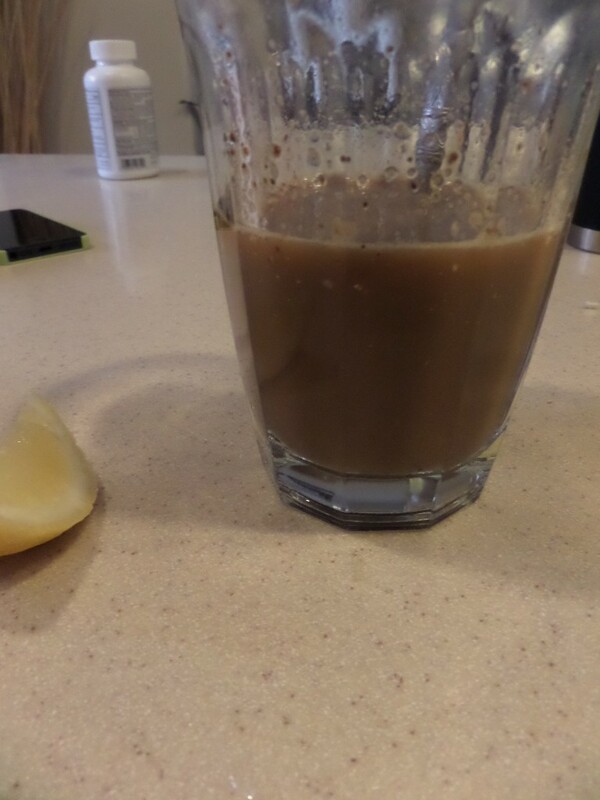 And finally…the “tea”. No. That’s not a Guinness. I wish it was. 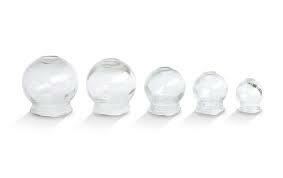 A few days later, I began my acupuncture and cupping therapy. 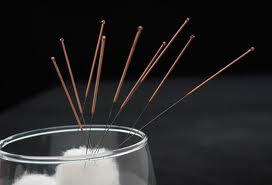 The acupuncturist met with me and reviewed my chart. I then reclined on the table, and the assistant shone bright lights on me to warm me up. The acupuncturist then set about poking me with small needles. Some in my face, my neck, my arms and legs and one right on top of my head. Some were completely painless, but one or two made me cringe. Once the needles were in place, it was quite relaxing. My sunny bed of nails. After around 20 minutes, the needles were removed and I was instructed to flip over onto my stomach. Then the cupping therapy began. I was more worried about this form of therapy, but there was really no pain at all. The acupuncturist lit a torch of some kind ( I could not see it) and created a vacuum inside small fishbowl-shaped glass cups. She then put these cups on my skin and twisted, creating suction. Sounds fun, right? Not so bad. The cups stayed on for about 15 minutes, then were removed carefully. I heard the acupuncturist “tsk’tsk-ing”. I asked the translator what that was all about, and she told me that my marks were very, very black. Which is a good thing, as it is supposed to draw toxins from deep inside the muscles to the surface, where the body can break them down. It was true that as time went on, my marks did get lighter and lighter. This is my back, post-cupping session. This was not after the first session, so my marks are not too “black”. As time went on, the acupuncture became more and more painful for me. I began to dread the entire process and didn’t think it was beneficial in any apparent way. I continued my treatment for 4 months, but the nerve pain and my inability to tolerate the teas forced my decision to quit. From what my friends tell me, if you have a specific concern – like an injury or chronic illness – acupuncture can be very successful. Since I’m just “sensitive to toxins”, it didn’t seem to do much for me. Now I’m just drinking tea regularly – the real kind, not the offensive powder kind. There are a lot of benefits to tea, and I’m planning on learning more about them. 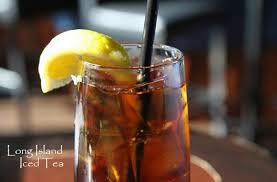 But for the summer, I’m thinking of researching the benefits of iced tea. Of the Long Island variety. I’m back. Where have I been, you might be wondering? 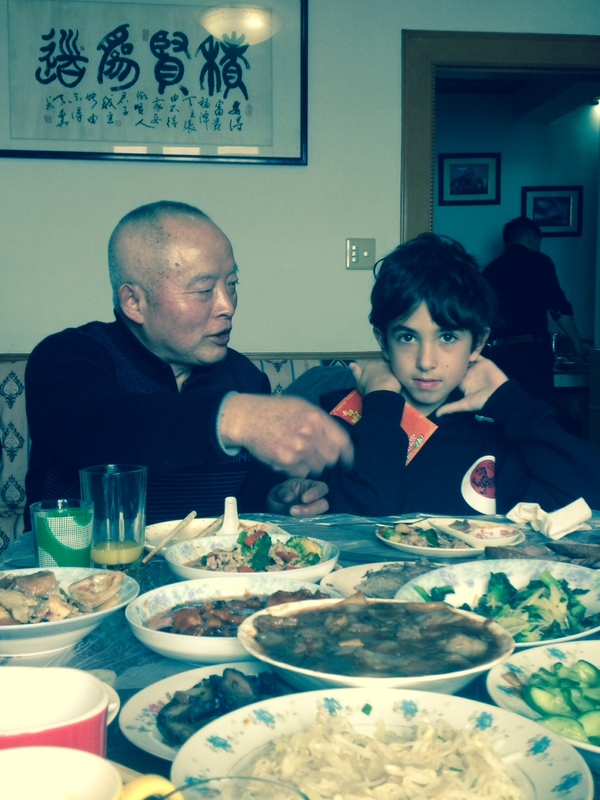 Floundering with my family through the winter doldrums in Shanghai. Battling illness. Hunting for groceries. We’re on an upswing, so I’ve found time to write again. I’ve got lots of ideas….but first, Chinese New Year. I must tell you all about Chinese New Year! 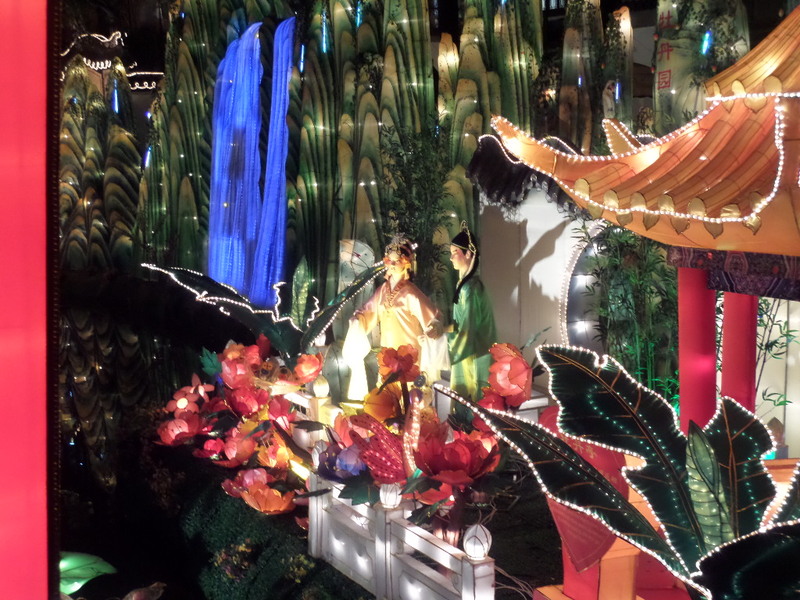 Chinese New Year is actually a misnomer. 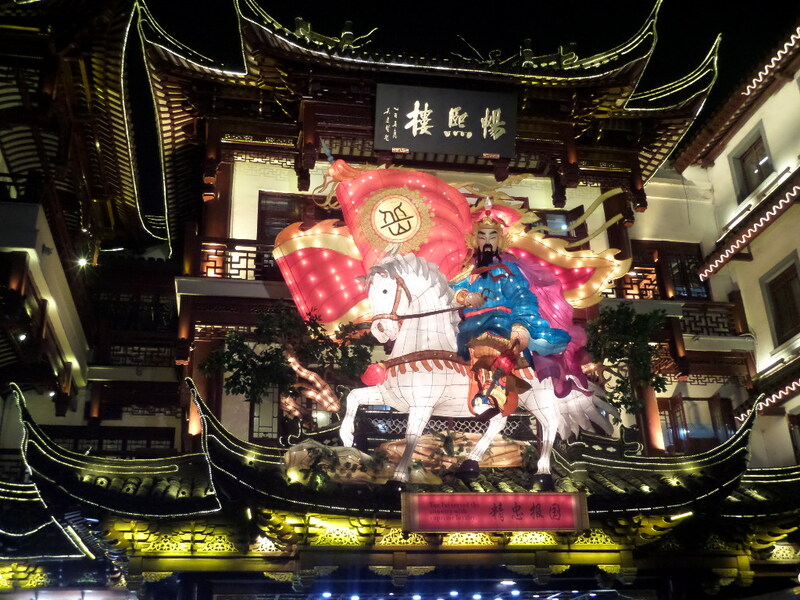 Although most people call it Chinese New Year (CNY) it is also called the Spring Festival. 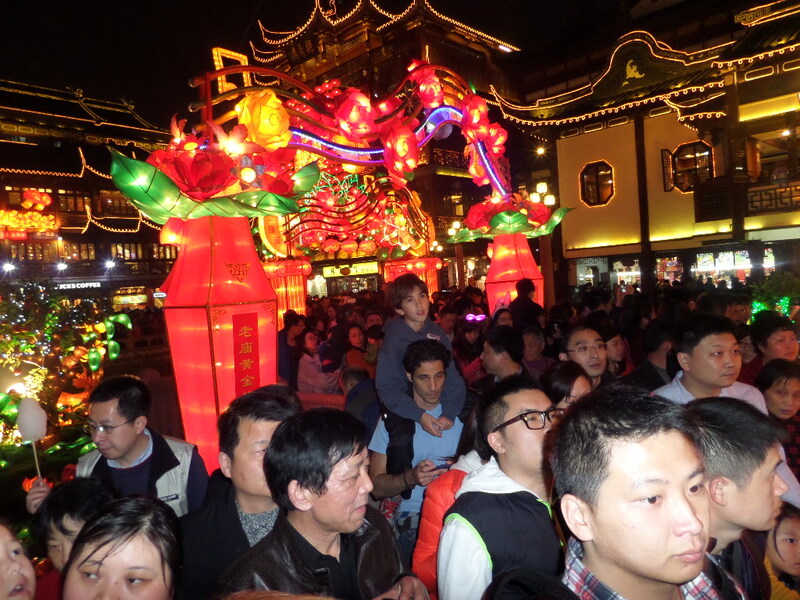 The holiday spans 15 days and is the longest Chinese holiday. This year it began on January 30 and ended on February 13. We were lucky to be here in Shanghai to celebrate. 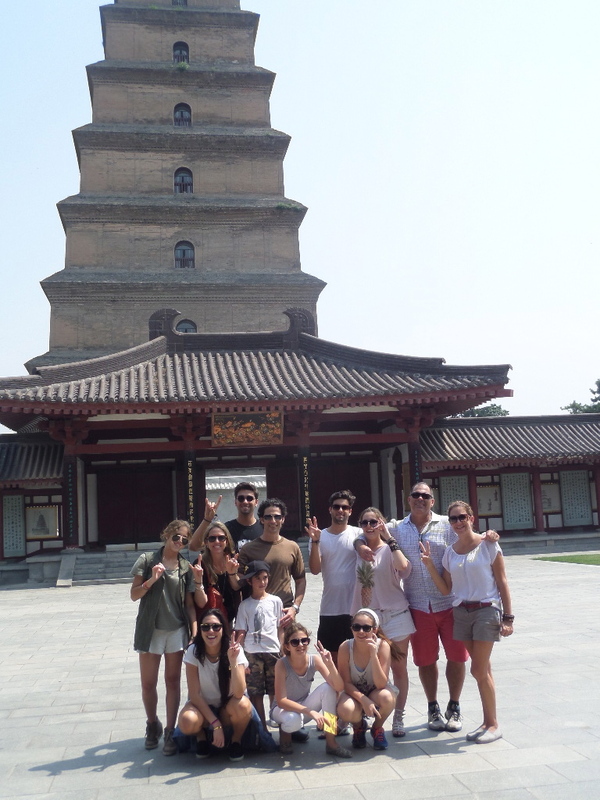 We decided that it was important to experience some of the Chinese holidays and not jet off to some sunny beach destination. At some points during the week, I doubted our decision (AQI over 400?!?!) All in all, I think we made the right one. 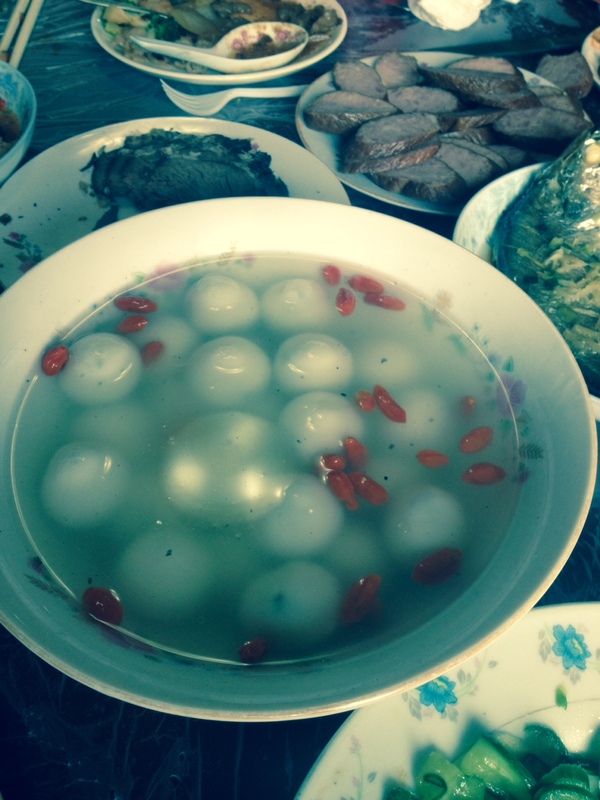 There are many ways the Chinese celebrate this holiday…most revolving around food, family and fresh starts. And money. There is a lot of emphasis on money. A lot. Did I mention that money is important? In the days before the “New Year’s Eve”, families prepare by cleaning their homes. They want to sweep away the old to make room for new good fortune. They also buy new clothes, get haircuts…freshen up their lives for the new year. And they wear red underwear. We didn’t jump on the red underwear bandwagon. I had visions of all of our clothes being pink! Homes are decorated with symbols and a lot of red. Fish are also an important symbol at the new year, the Chinese word for “fish” is homophonous with the Chinese word meaning “excess or abundance”. 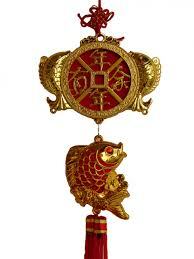 So, if you put fish around your home, you will receive an abundant amount of money in the new year. Our new year started with the departure of our ayi for her hometown. There is an annual migration – of Chinese people – the largest mammal migration in the world! Although that sounds weird, it’s true. This National Geographic article details this phenomenon. This very cool heat map shows where the Chinese are heading to. It’s a great visual of this annual occurrence! 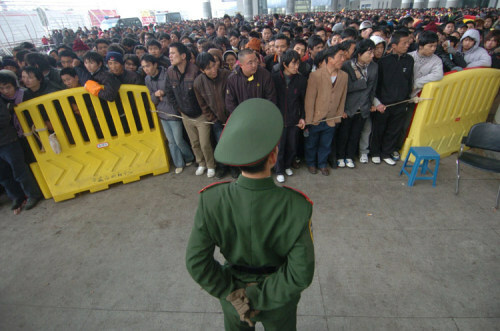 Crowds waiting to buy train tickets in Ningbo. Can you even imagine? Interested in more information? Watch The Last Train Home for more insight into this. Our ayi is from Jiangsu, about a 4 hour drive from Shanghai. Before she left, we presented her with her hongbao – red envelope containing her bonus for the year. 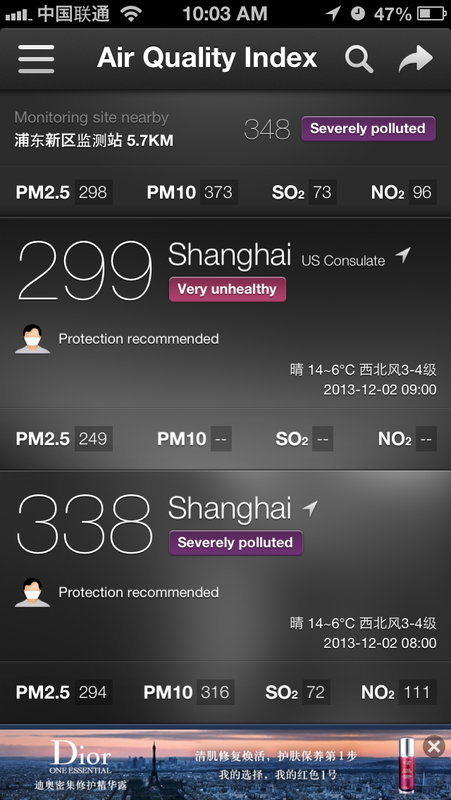 It is sometimes this is called the 13th month, at least here in Shanghai. 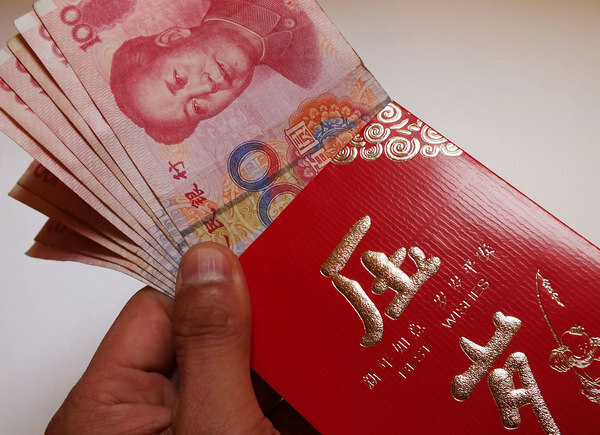 Most ayi expect an extra month of pay at Chinese New Year. (This should be discussed upon hiring, not a good thing to spring on your employer.) Some ayi will not return to work after the holiday if their hongbao is insufficient. 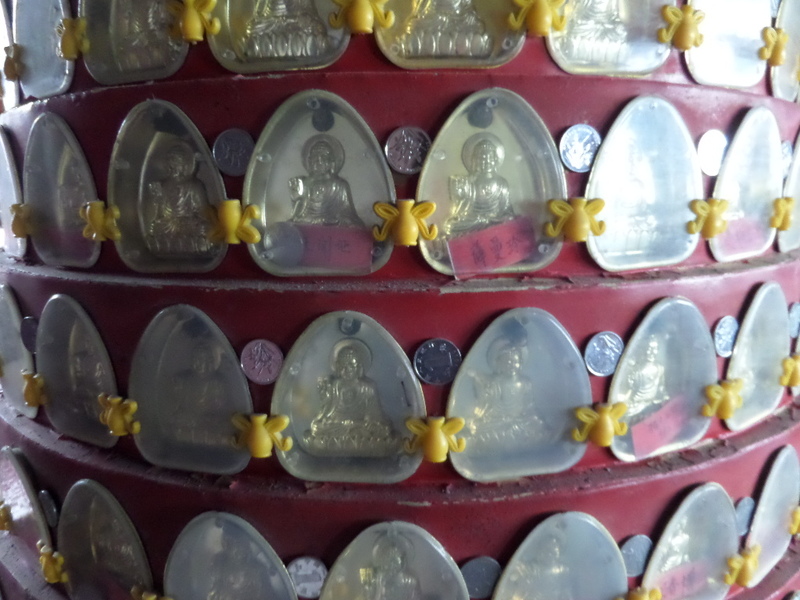 The hongbao has it’s history in the Qin dynasty when the elderly would put coins on a red string to ward off evil spirits. That practice eventually evolved to the red envelope, maybe this is why money is tied so tightly to the new years customs? The amount of money contained in a hongbao should end with an even digit. 8’s are lucky. 4’s are not. (The number 4 “Sì” sounds like the word for death “Sǐ”) So, if your hongbao amount contains a “4″, round up. Please. Honestly, I’m a bit confused about the whole hongbao thing. From what I’ve read, hongbao are the traditional gifts that adults give children. In practice, “children” can even mean young adults who are unmarried. Children ask for hongbao by saying “Gong Xi Fa Cai, Hong Bao Na Lai!” It means Happy New Year! Give me a red envelope! I never saw this happen in Shanghai, and I’m quite glad as I didn’t carry around red envelopes full of cash to give to children. In Shanghai, it’s more of an employee thing? Drivers & ayis. No, it’s not raining. That’s smog. The view from our hotel room. More smog. 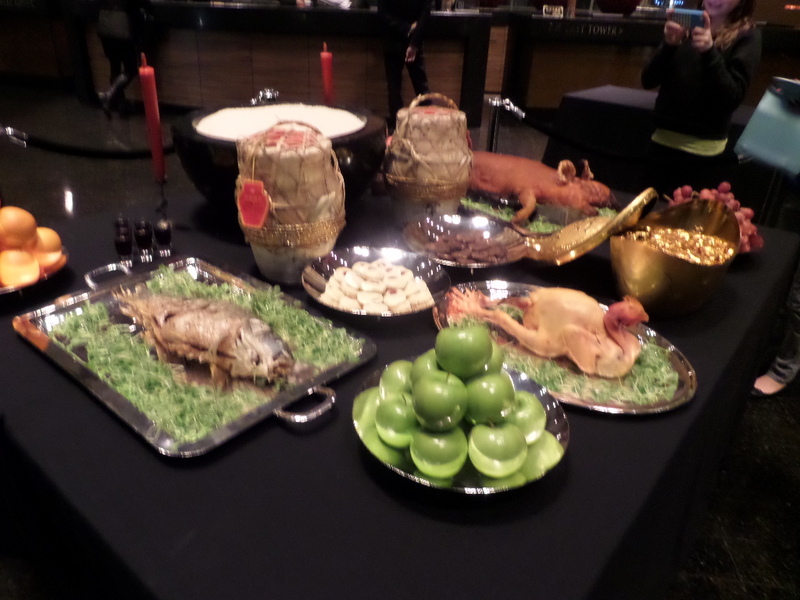 This was the lobby decoration at our hotel – lots of food that was looking at us. Deep into our souls. The highlight of our CNY stay-cation was being invited to our drivers (Jason) parents home for lunch. 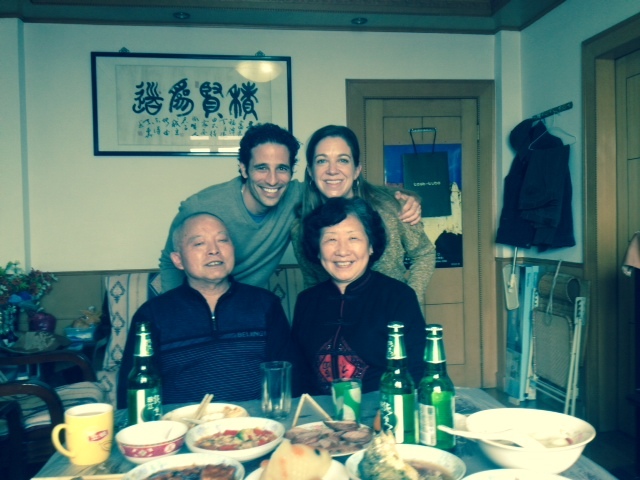 What an honor to be the first “laowai” to dine with them in their home. 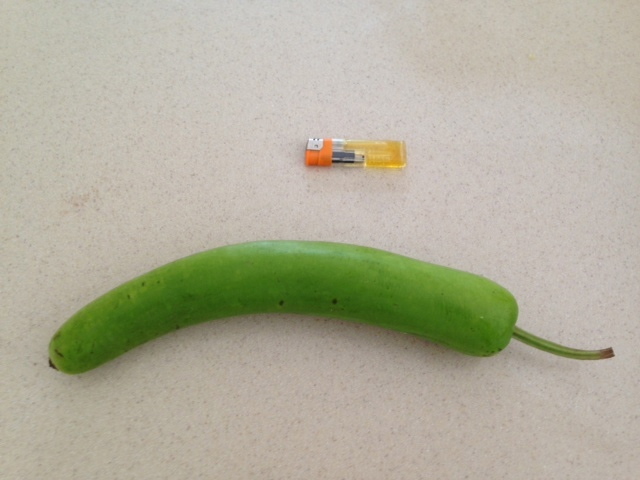 After a serious pep talk to our kids – 2 are VERY picky eaters – we headed over to their apartment. 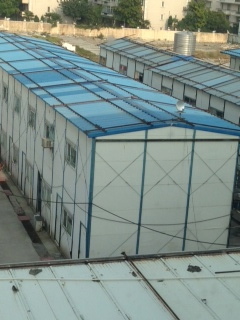 It was a nice apartment, with a typical Chinese configuration. You entered through the kitchen, which was a narrow galley style with the bathroom at the end. (Didn’t use it, assuming it had a typical Chinese style squat toilet.) Jason’s father is a retired boat captain. He had spent the day (maybe days?) cooking for us. In fact, he kept cooking while we were there and the amount of food he prepared was astounding. During our CNY holiday, we also visited the Insect Museum which oddly also housed some goats, guinea pigs and chinchillas. 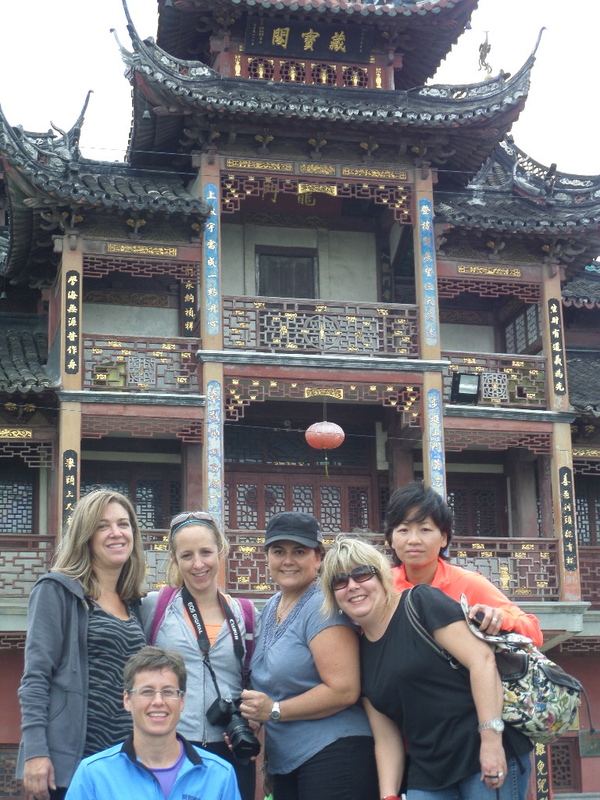 We stayed super busy – once the air cleared – and had some great adventures with friends (about 1,000,000 of them) at Yu Yuan Garden. It was a great CNY in Shanghai, next year we’ll probably be jetting off to some exotic location, but I’m glad we stayed this year! Can you play “spot the laowai” in this photo? 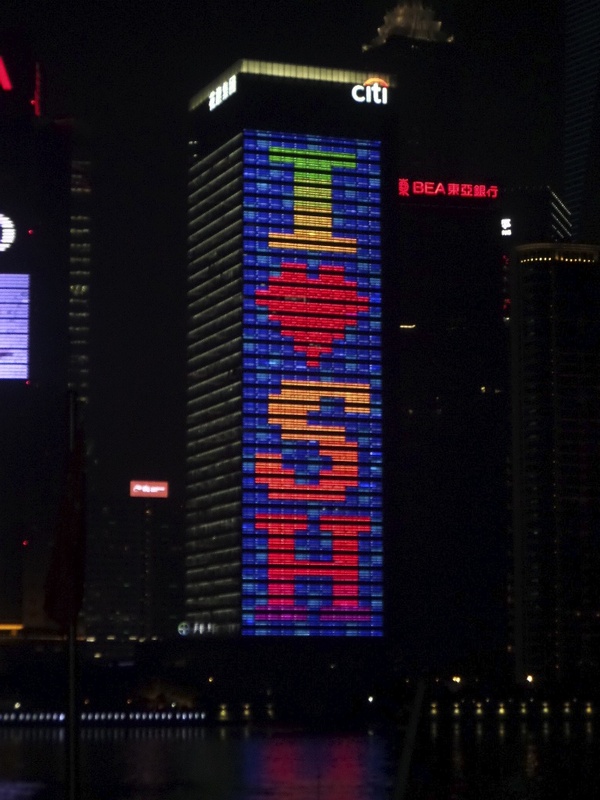 This was truly an I Love Shanghai evening! One Chinese person’s junk can be another (wo)man’s treasure. Mine. My husband and I love antiques. We’ve been collecting since we first met. One of our first purchases was an antique rocking horse which we named Simon. He has rolled around the country from where we acquired him – Orlando, Florida- to Miami, Michigan, Arkansas and Ohio. He did not make the trip to China, rather he’s resting in climate controlled comfort in Cincinnati with my antique piano, bookcase, tables, chaise lounge…you get the picture. We like old stuff. There are lots of places to buy antiques here. We’ve just skimmed the surface by going to Hu & Hu where we found lovingly restored pieces at good prices. 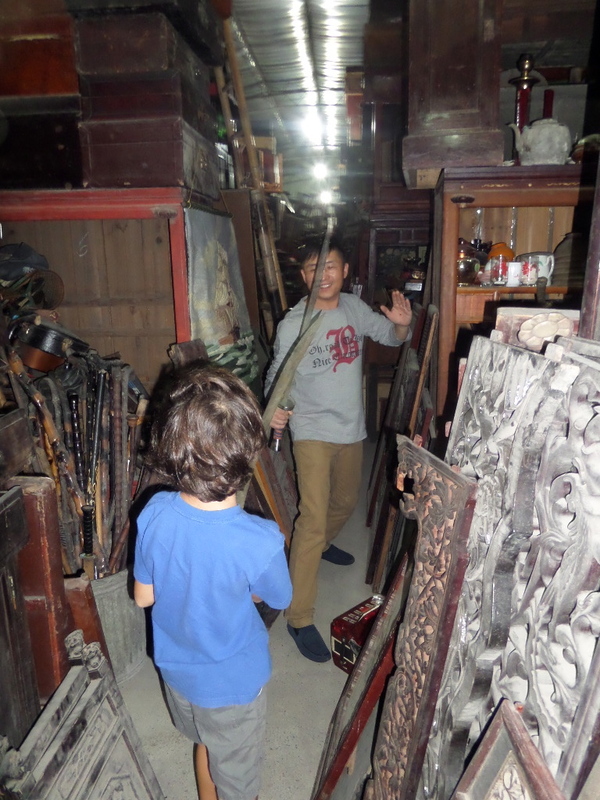 Dongtai Road is a good place to find “fake” antiques. We want to go to Green Antiques, but it’s quite far and our driver can’t figure out why we would want to go there to see old stuff. 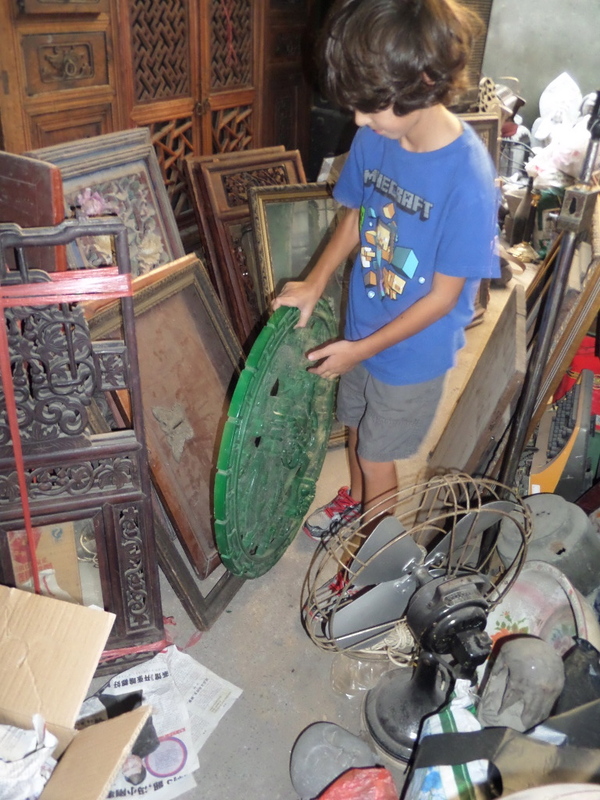 (They’ve got 10,000 square feet of old stuff. And a curator. How cool is that?) He just does not get it. Which is why I was inspired to write this post. Why do we (some of us) like old stuff and WHY do most of the Chinese hate it? 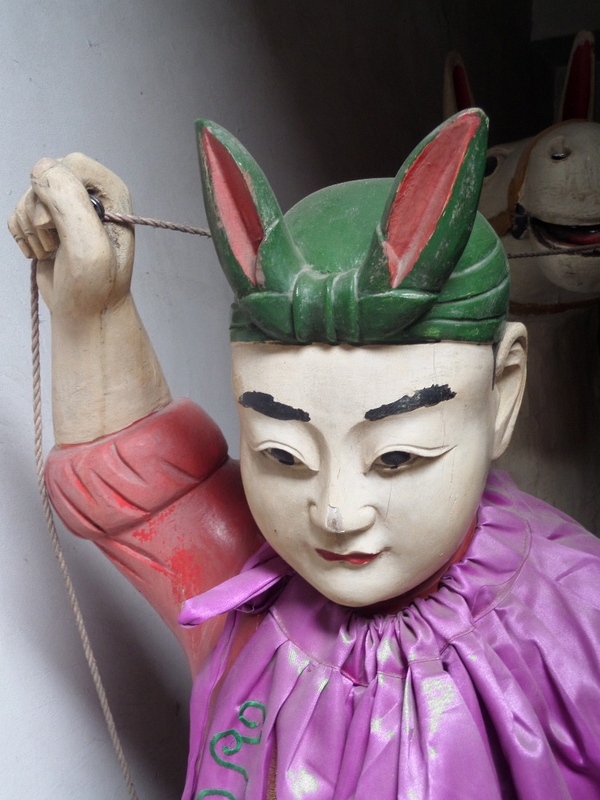 The Chinese culture no longer reveres old items. History is not in”things” rather, it is held in stories and traditions. The young Chinese love….IKEA. It’s new, shiny and reeks of Western lifestyle. (And particle board.) It’s also a great place to nap, or have lunch. That’s an entirely different post. Intrigued? Click here. Old items remind them of the difficulties of the past. Old items are just waiting to be replaced. ***addendum from my father-in-law: “Another factor to consider why Chinese people don’t like old things was Mao’s cultural revolution. While I look at antiques as having a story to tell, the Chinese just don’t seem to care. Scratched and dented? I love it. Musty and cracked? Must have it. Yep. We went there. 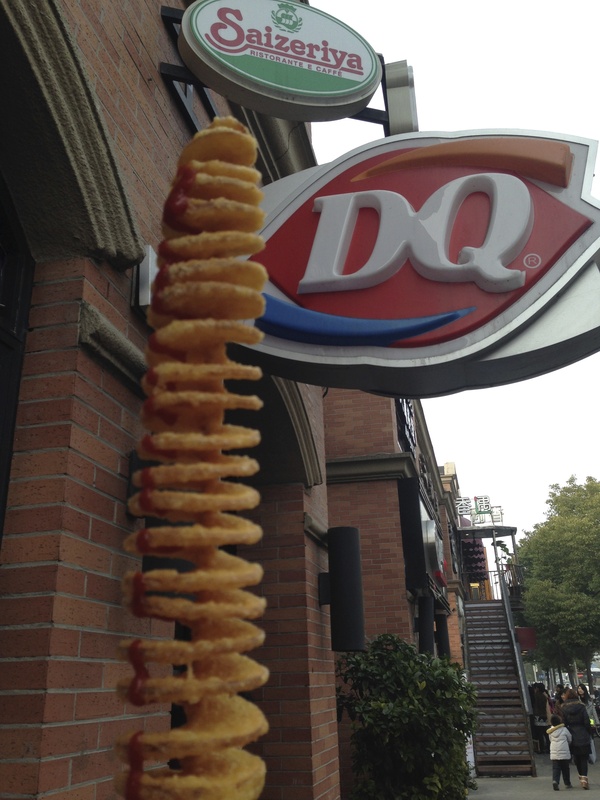 It was AH-MAZING. I learned about this place from another blogger. Then I showed my husband and got a hearty – Hell yea! So, we showed the address to our driver and off we went with our three children. Our driver, Jason, thought we were insane. 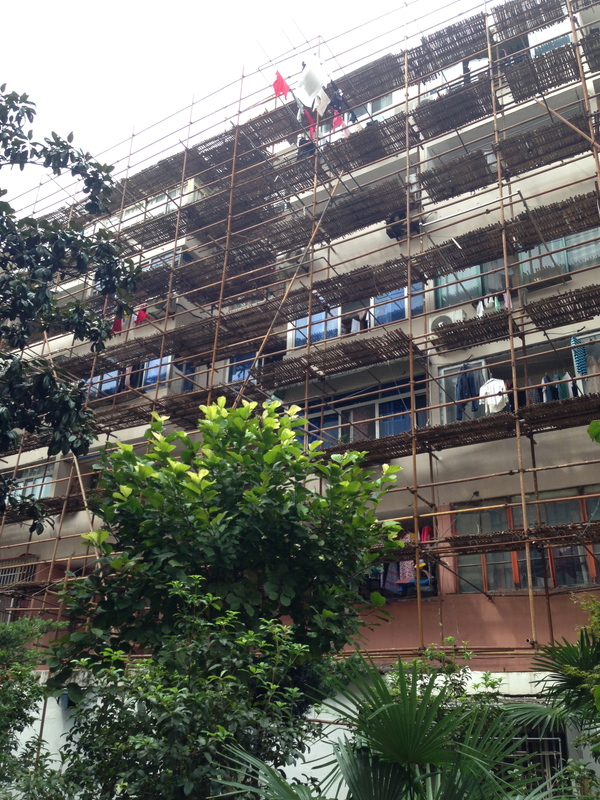 Crazy laowai poring through buildings full of Chinese junk. It was fun having him along. He explained some items to us and entertained the kids with some sword fighting and accordion playing. Hitting the China (expat) wall. Not the “Great” one. I lost my mother many years ago and there have been many situations in my life where I had to process through these stages. It’s not fun, people. My husband says I’ve hit the “wall” and I’m now experiencing this phenomenon. Maybe I have. Maybe I am. Maybe it’s not such a bad thing… life is a journey and perhaps my path has just become a bit rocky? Shoes. I walk EVERYWHERE. Or ride my bike. Heels and bikes don’t mix. (Unless you’re Chinese. Then you can rock the heels on the bike/scooter. I’m just not there yet.) For now, I’m wearing Toms but with winter coming I need to find sensible shoes. For my enormous laowai feet. (Size 9 1/2.) My driver says there is a shoe market that caters to giant expat feet. Heading there next week to search for some walking shoes. My dilemma is – I don’t REALLY want any sensible shoes. I’m being resistant. (Denial? Anger?) 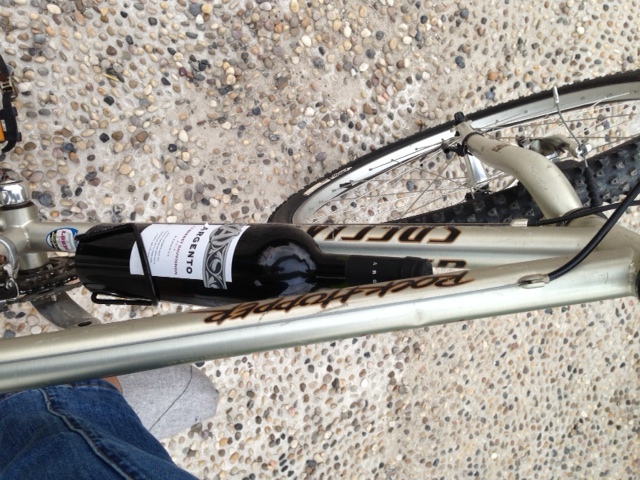 Maybe I SHOULD wear heels when riding my bike while carrying wine. In the water bottle holder. Who knew wine would fit there? I learn something new every day. Cleanliness. We remove our shoes in the house for a reason. The Chinese believe (very strongly) in expelling phlegm from their bodies. I’ve read that they do so because they want to expel evil spirits from their throats. Whatever. They do it because they are always coughing from the pollution and smoking. So, they spit. Everywhere. I just don’t get it. (Anger?) Then there’s the public urination. (ANGER.) So, shoes off people. I’m ok with this, except now that it’s getting colder we all need slippers! I need to head to the copy market and pick up some FUGGS. Fake UGGS. Pollution. Ahhh…air. Don’t take it for granted. This week has been bad here in Shanghai. 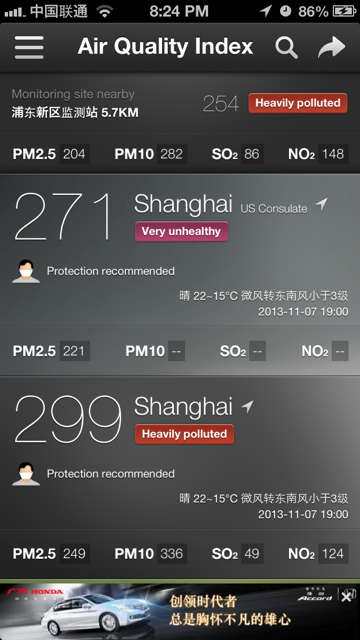 AQI over 250 – nothing compared to Beijing – but horrible nonetheless. This is bad, bad pollution. Indoor recess kind of pollution. PM 2.5. Particles small enough to invade your lung tissue and never, ever leave. This is not pollen or dust. Rather teeny tiny cancer-causing particles of doom. And the smell. When I was riding my bike home from school last night with my daughter, the brown air just smelled so bad. 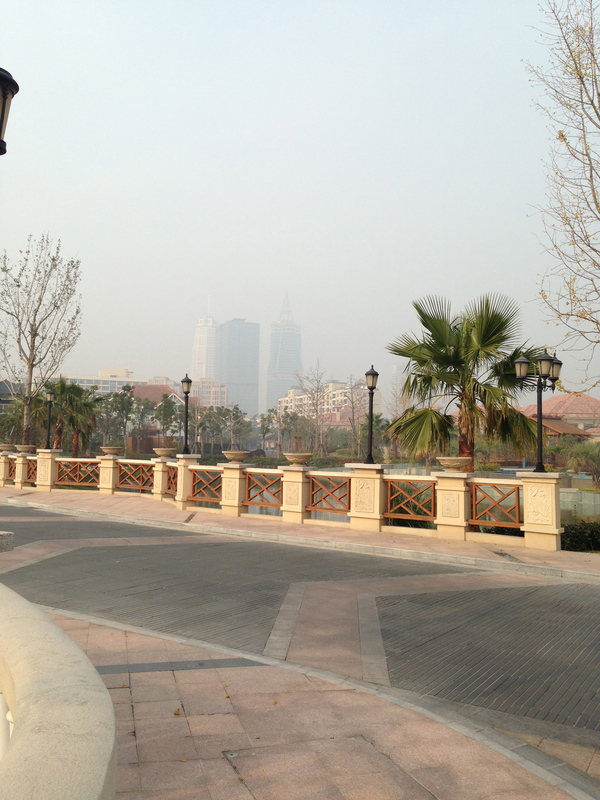 AQI was around 280. Gross. (Anger.) It’s saddening because our family will leave here someday, escape the poisonous air. The Chinese can’t. They live here, and don’t notice how horrible it is. It’s become their reality and that just upsets me (Depression?) I’ve been wheezing and coughing this week, and have two children doing the same. I ordered Vogmasks and hope they arrive soon. 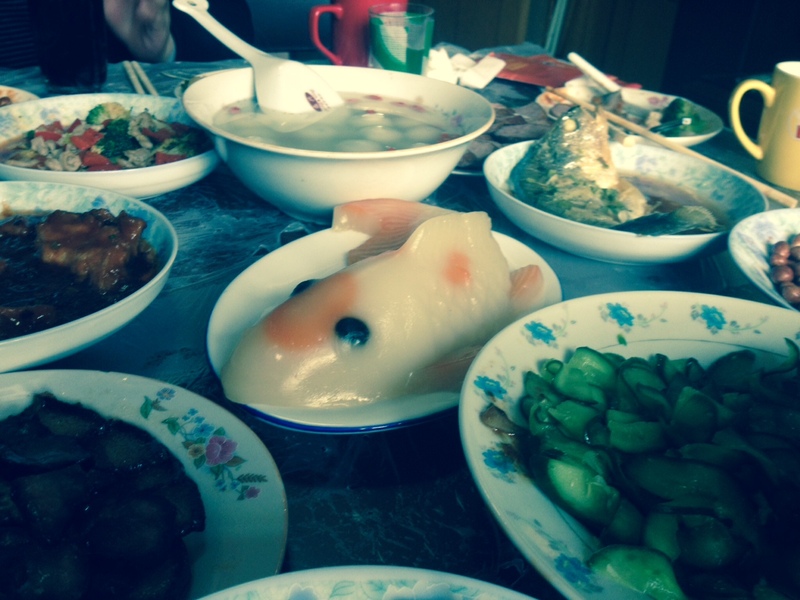 She said Chinese people eat the fish head to make them smart. I chose not to, but both dishes were very tasty. 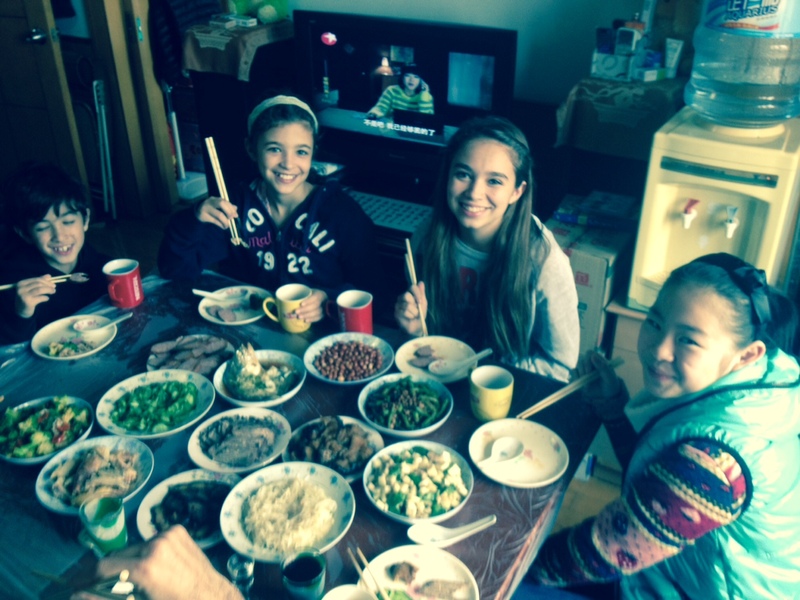 The Chinese prepare so many dishes for one meal! 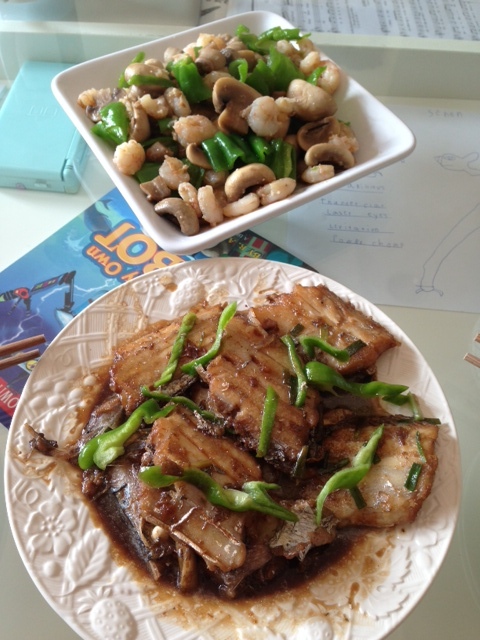 Yufen tells me that simple, Western cooking is better. 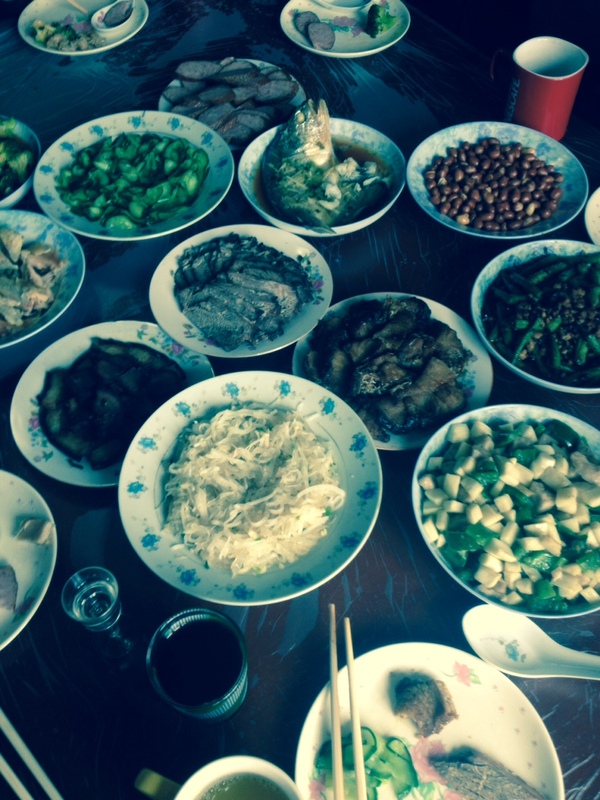 For one family dinner at her home, she might prepare 8 different dishes. Like Thanksgiving, every day. Starting over. Nobody here knows really me. That’s so hard. Making new friends is hard work. (Isolation.) I’m trying to keep busy, making plans with friends. I’ve met some amazing women and men here (shout out to my guy tais!) and I’m working on my circle. People I can depend on for help, encouragement, support and listening. 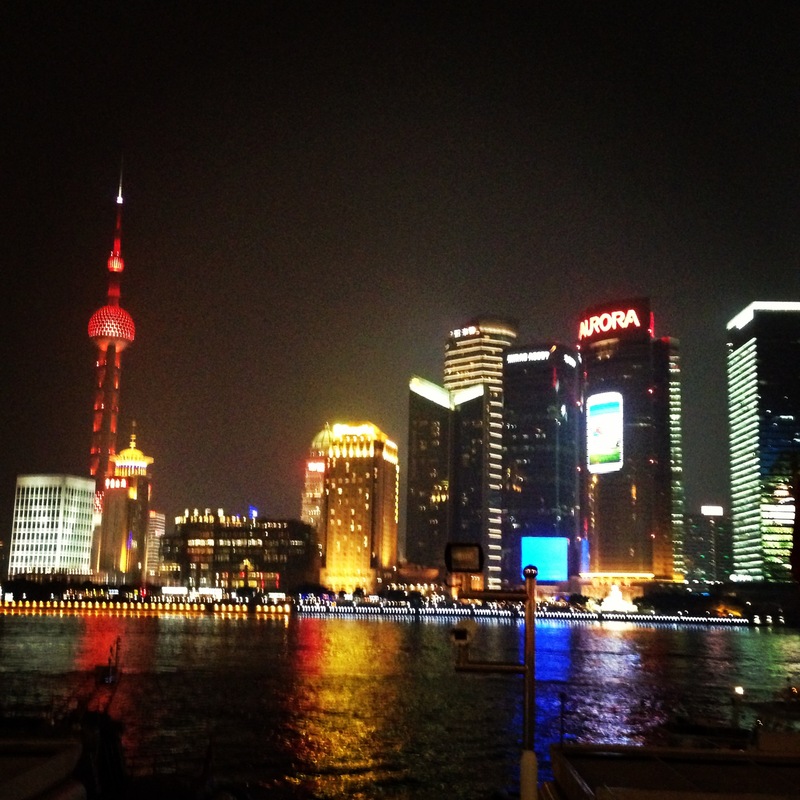 We’re all in the same boat and looking to love our new home here in Shanghai. Oh, China. You are an amazing country with beautiful people and so much history. I’m just trying to get to know you better. I truly want to understand you. Without judgement. Without negativity. From a place of Acceptance. Just the same way I want my new friends to understand me. We live in a bubble. Metaphorically speaking. Some would say we don’t even REALLY live in China. Jinqiao (“Golden Bridge”) is an expat area. I think it’s China, but then again, I don’t get out much. 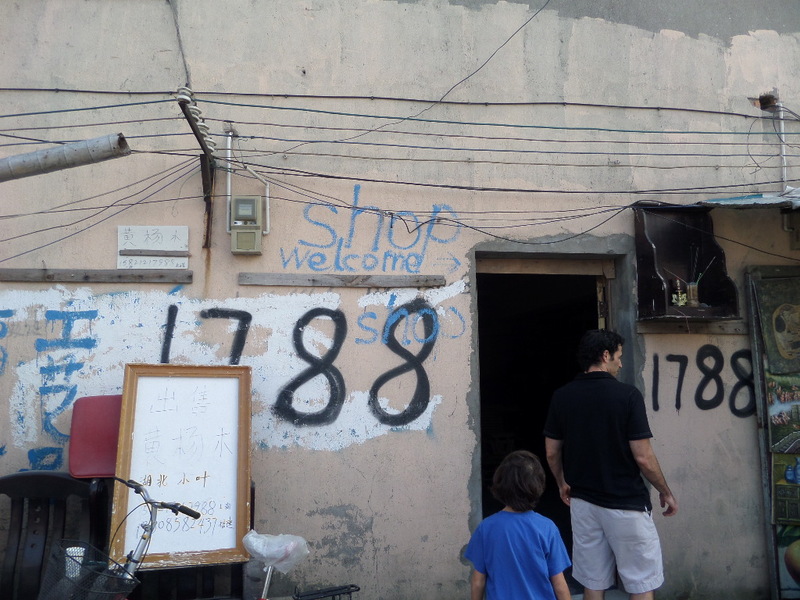 Recently, I took a walking tour through a local migrant village called Sanqaio. 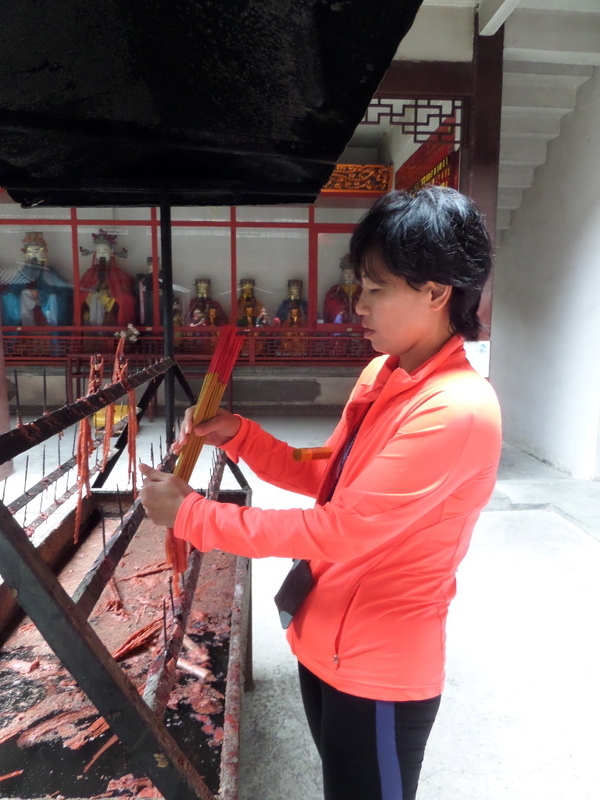 Remember my post on Shezhuang Temple? Well, the migrant village surrounding that temple was torn down. 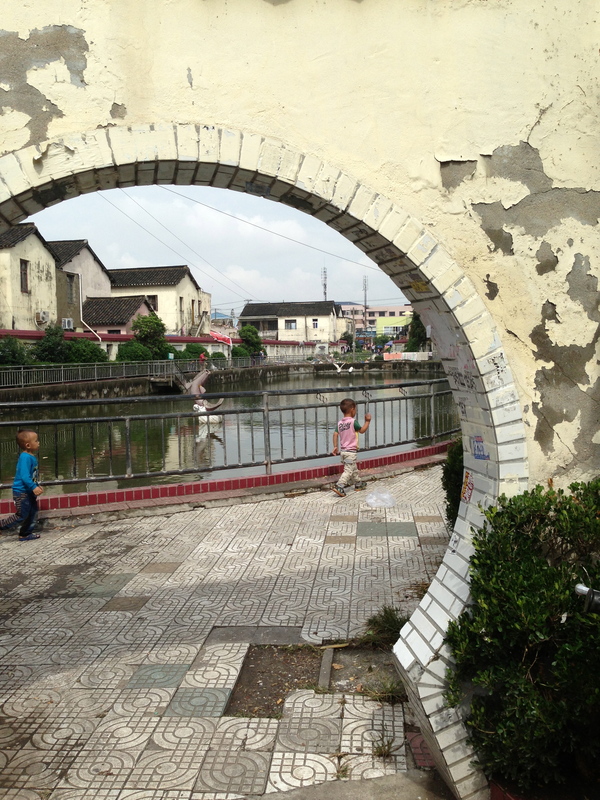 We visited the nearby village of Sanqiao. Very close to our bubble. In fact, we walked there…from Costa Coffee. Think about it. 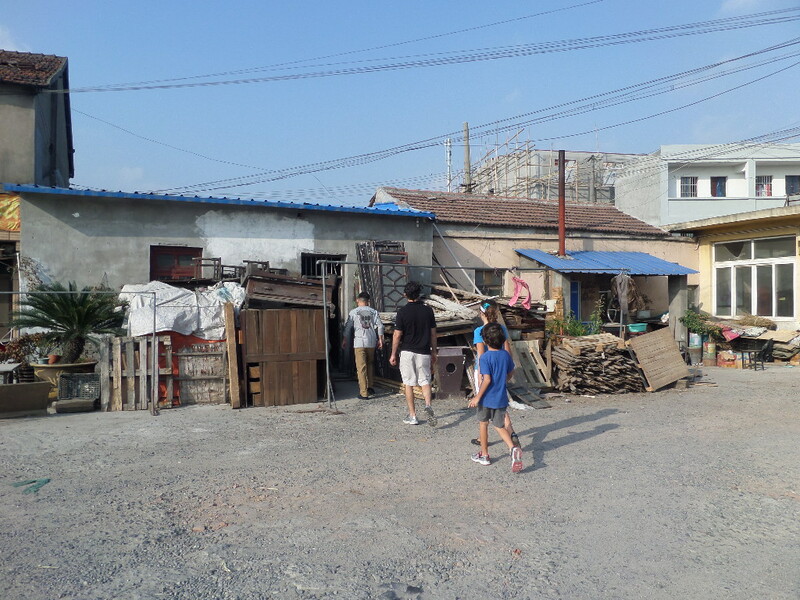 Three blocks from an expensive international coffee chain, there is a village of 20,000 migrant worker and their families who live in crowded quarters. But guess what? They’re generally very happy. What comes to mind with the word “migrant”? For me, it’s a person from another country looking for work so he/she can support the family back home. 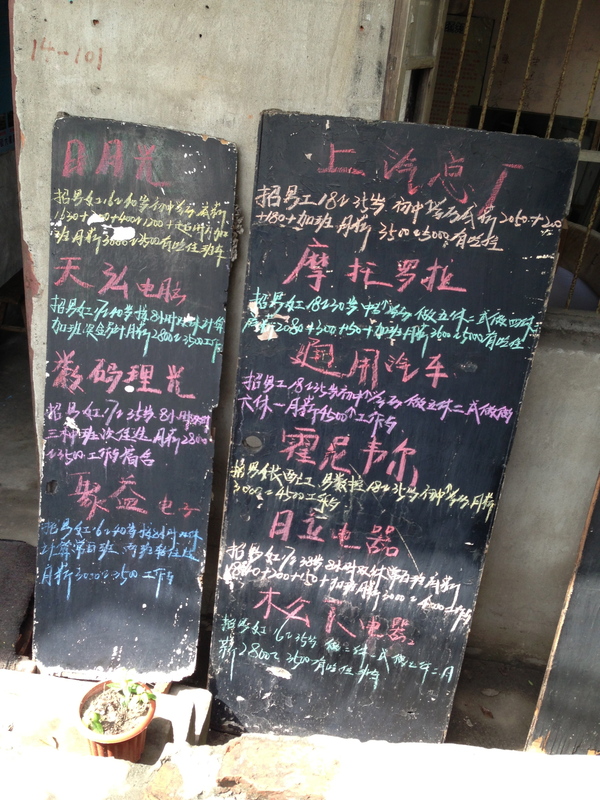 Here in China, migrants are Chinese laborers who come to the cities looking for a better life. This is made a bit complicated by China’s hukou system. In China, citizens are issued a hukou at birth. A hukou is a kind of family registration which says where you were born, who are your family members etc. Any government benefits you might be entitled to are only available to you in your hometown. 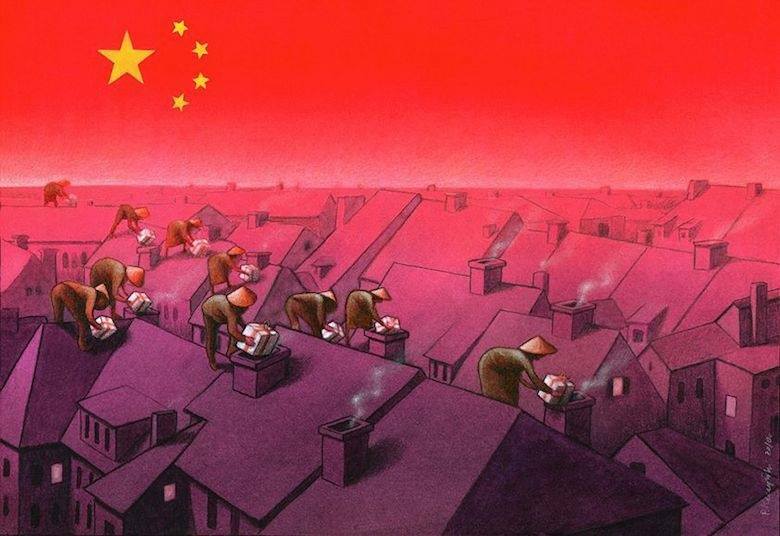 During the Mao years, if you had a countryside hukou, you could not go to a city. Not even for a visit. This was to ensure there were enough farm and laborers in the countryside to provide food and goods for the cities – and to prevent overcrowding. If you had a city hukou, you were not allowed to visit the countryside. This created the seeds of discrimination which are still around today. City vs. country. This went on until the 1970’s when China’s Communist leaders added a dose of Capitalism into the mix. The people began migrating, looking for a better life. The first generation of migrant workers were not legally allowed to work in the cities. They were hired under the table to perform the jobs nobody else wanted – or for large scale construction projects. They were not allowed to buy a house or send their children to local schools and had inadequate healthcare. 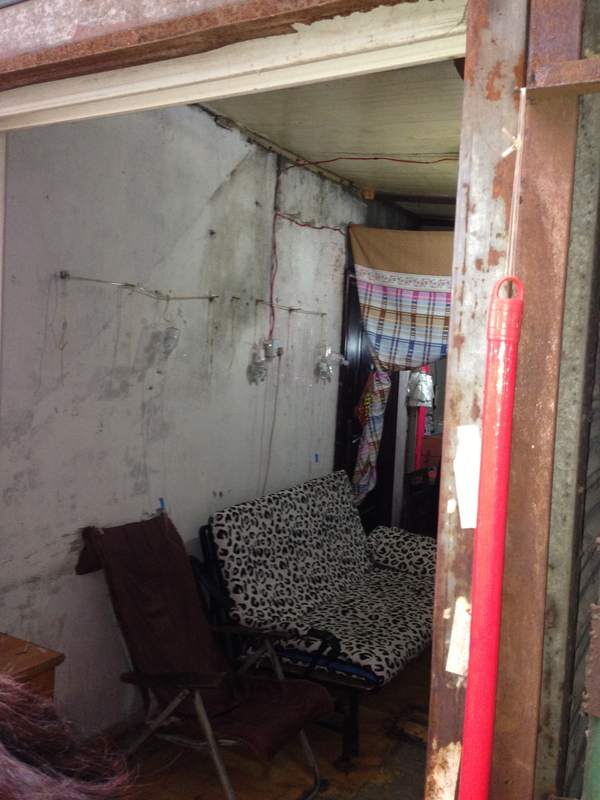 They generally lived in dorms – like the blue/white modulars we see around Shanghai today. Barefoot doctors were farmers who received basic medical training so they could provide care for their village. This practice started in the early 30’s but gained momentum under Mao. Technically, they don’t exist anymore, (ahem) but somebody works here to provide for basic medical needs. Some of these ads are looking for factory workers, street cleaners and even a DJ Princess at a karaoke bar. Although it sounds glamorous, the DJ Princess is just a glorified lap dancer. Prostitution is illegal, but largely ignored. During our walk I saw some “working girls” just hanging out. My favorite was wearing a short skirt, nylons and Nikes. Practical. Sigh. I need time to process the remaining information. Stay tuned for Part 2. I’m looking forward to sharing the success stories of some of these hardworking migrant families. A couple of weeks ago, I visited some hospitals with a group of friends. We thought it would be great to be prepared, you know, just in case. As we wandered around the different facilities – some ok, some not – I just kept hoping we would never REALLY need to visit one. Well, yesterday, I did. My daughter fell at school and split open her eye. Let me set the scene…I had been home for a week with my 10 year old who had an unspecified bacterial infection. A common practice in Chinese hospitals is to offer IV medications for EVERYTHING. We saw this at some of the hospitals we visited, rows of chairs with IV poles just waiting for customers. I declined the offer to have my 10 year old started on IV medications. Oral antibiotics are good enough my my family. Even though there were Chinese antibiotics, what what’s a girl gonna do? She needed them! My 13 year old had been out sick from school the day before AND my husband was out of town. I really needed a break, so a friend agreed to meet me around 2:00 for a late lunch. I was really looking forward to it. I rode my bike to the restaurant and was waiting outside when I heard a large crack and scream. Two scooters had crashed and sent one passenger flying through the air. (Bad omen.) The driver was ok. She was just scratched up and her scooter was trashed. Nobody called the police, just literally picked up the pieces of her broken scooter and limped away. The school nurse called to make sure there was a surgeon there – one who could suture her face. After waiting for the driver, we rode to the hospital. Now, there are some who might say that the hospital I chose is NOT a Chinese hospital. (There are some who say we don’t even really live in China, since we live in such an international area. But I beg to differ. It’s totally China.) This hospital is Chinese, but has an international floor. We arrived and went up to the second floor where they asked for my insurance card and daughter’s passport. (I keep shrunken copies of passports in my wallet for this purpose.) After a bit of Chinese/English discussion, we saw the doctor. He was very kind, mid-50’s…I have no idea what his name was. He brought my daughter to the exam table which was in his actual office, behind his desk. He examined her eyelid and explained that she needed sutures. He could do this “plastic surgery” for her. No problem. What followed is pretty standard procedure – lidocaine injection into her eyelid, cleaning of the wound, two layers of sutures etc. He asked her constantly if she was in any pain. He did a nice job, as far as I could tell. Was it completely sterile? Probably not. Is sweat sterile? The sweat dripping from his brow was everywhere, but I didn’t actually see any land in the wound. He also covered her face with a drape. Sterile? Probably not. And difficult for her to breathe under, so I held up the corner so she could get some air. He put her on antibiotics and asked that she come back the next day so he could clean and re-dress the wound. This is where it got funny. After he prescribed the antibiotics, he looked at me and said, “no alcohol with this medicine”. I thought he was joking. He wasn’t. He turned to the nurse for translation help, then turned to my daughter and said “no beer with this medicine.” He was serious! Beer for my 13 year old? Too funny. When we returned the next day, they were careful to take my insurance card copy again. They are obsessed with payment here. Some hospitals require cash payment up front and all ambulances require cash at pick up. This hospital accepted debit cards, so I knew I was ok.
We go back in two weeks for suture removal. Right now, she looks like Frankenstein with purple eyeshadow. Her friend brought by a pirate eye patch today…how cute is that? Seriously, my girl is a trooper. Being in a foreign country in an unfamiliar medical environment and getting 12 stitches was a lot for me to handle – and I wasn’t even the patient! I am thankful that we did the hospital tour and I successfully navigated through this medical crisis. I didn’t do it alone. 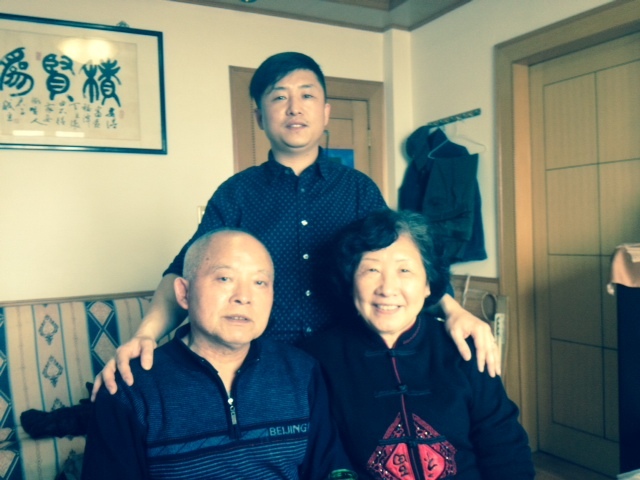 My new “China family” was there to help me out – my driver, ayi, neighbors and other friends who offered to round up my other two children while I was at the hospital. A hearty shout out to my neighbor, Len, who delivered an emergency Stella Artois last night. Not for my daughter, though. She’s on antibiotics. 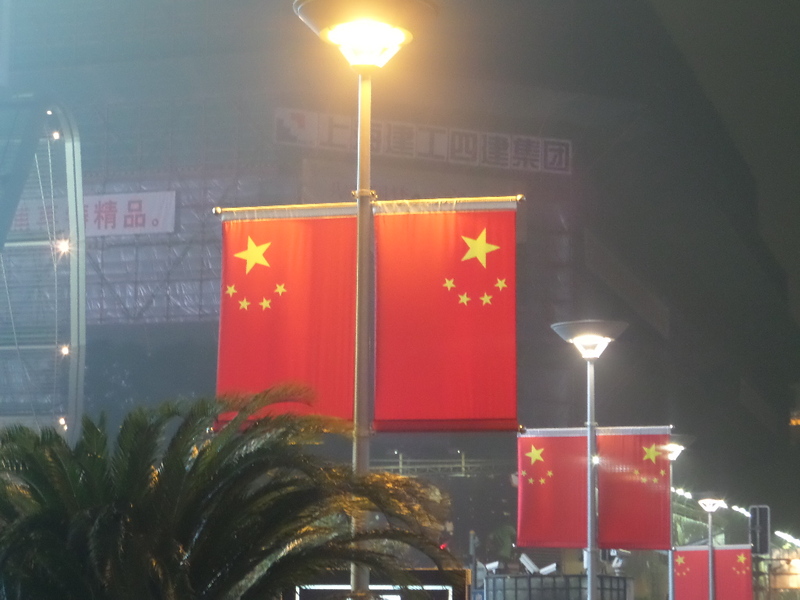 China Reading List….and where have I been lately? 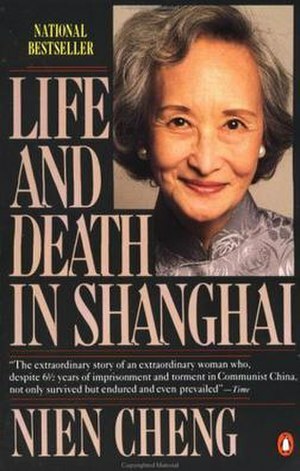 Today, as I am still sifting through the many ideas in my head, I thought I would share my China reading list. These are the books I have read about China (and other parts of Asia). Funny thing, about 5 years ago I went through a Chinese historical fiction phase! I have reread some of those books and they are on the list too. Here is my list, in order of importance. At least, from my perspective. You can also find my list on Goodreads. Happy reading! China is old. Very, very old. 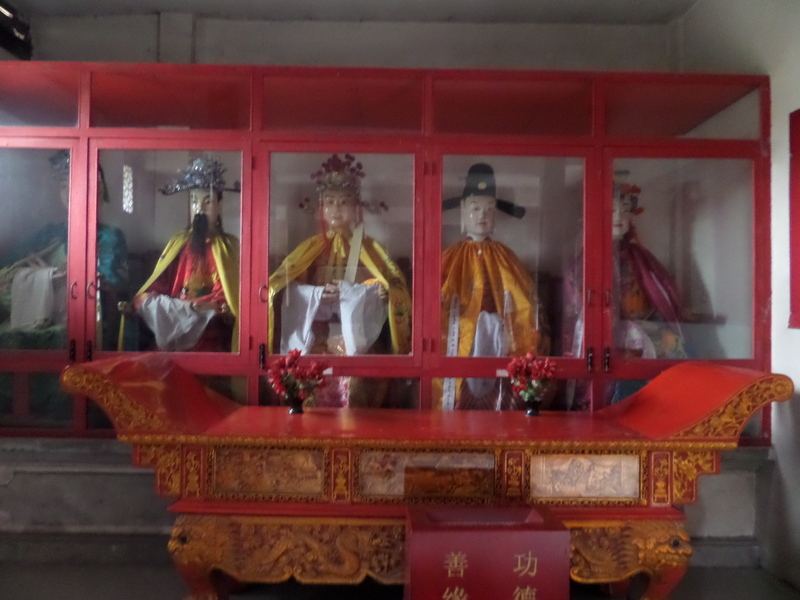 My new friends and I discovered a bit of “recent” Chinese history today during a short bike ride to the Shezhuang Temple in Jinqiao – literally a block away from our very modern neighborhood. 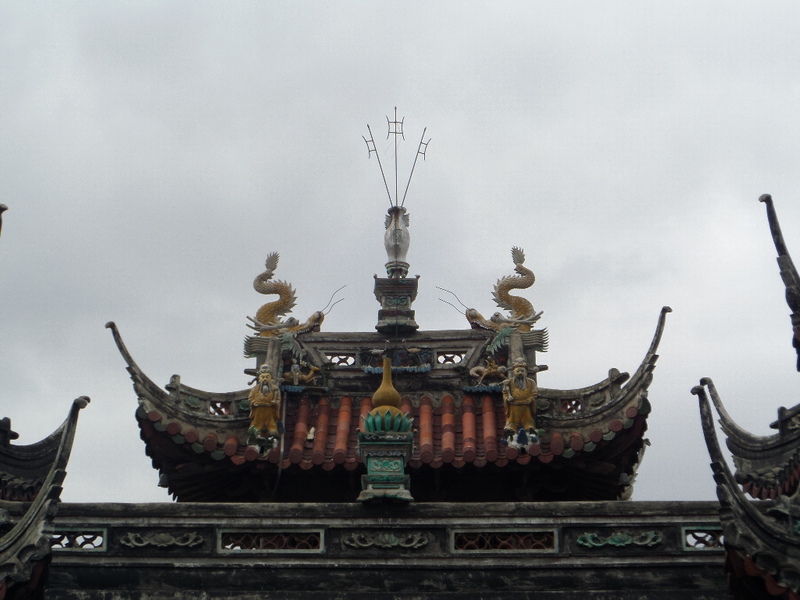 My use of the word “recent” is relative as this temple was built in the late 17th century, during the Ming Dynasty. I was told about the temple from a neighbor, who found it on a bike ride. 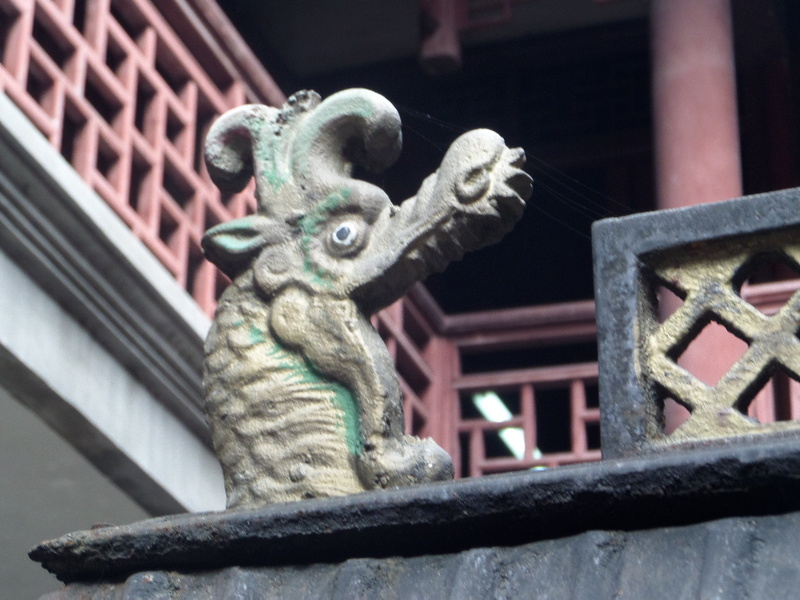 Then, I read a blog written by another neighbor – Lost in Shanghai – in which he describes his visit and tells the history of the temple. Check out his blog. Anyway, to reach the temple, we had to cross a 4 lane road which is a very dangerous undertaking in Shanghai. Once we made it across, a quick left down a dirt road brought us by the few remaining migrant homes. We turned a corner past a pile of trash and found ourselves right in front of the temple. I didn’t take photos of the squalid remains of the migrant village, that topic deserves it’s own post. 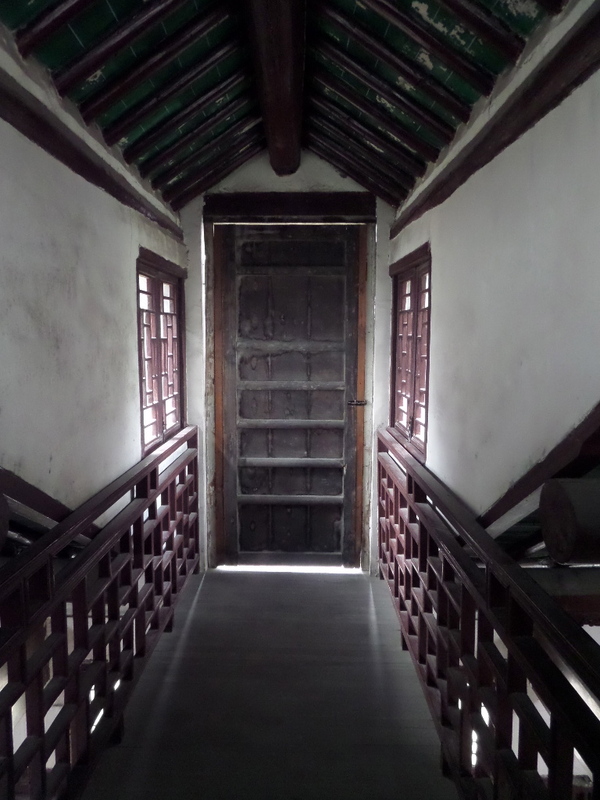 Check out the photos of what it used to look like: Shezhuang Temple. 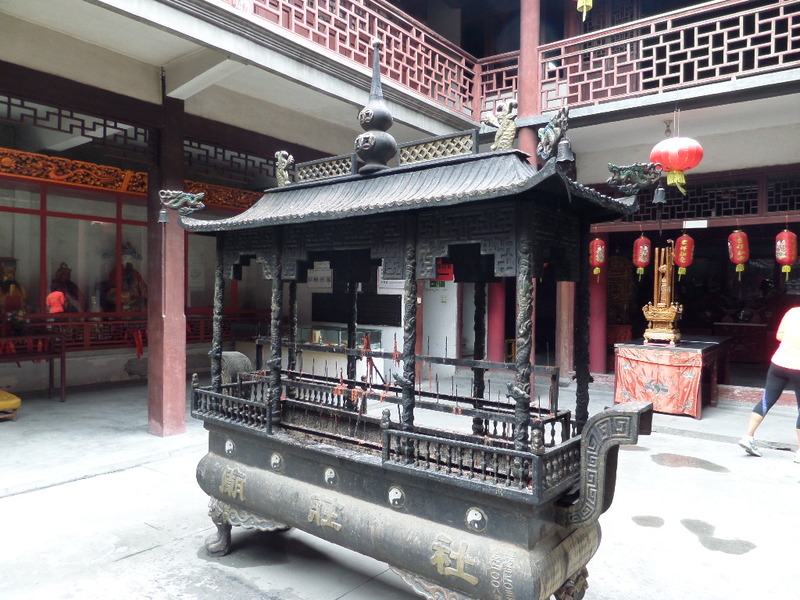 This two minute YouTube video is enlightening – Future of Shezhuang Temple. 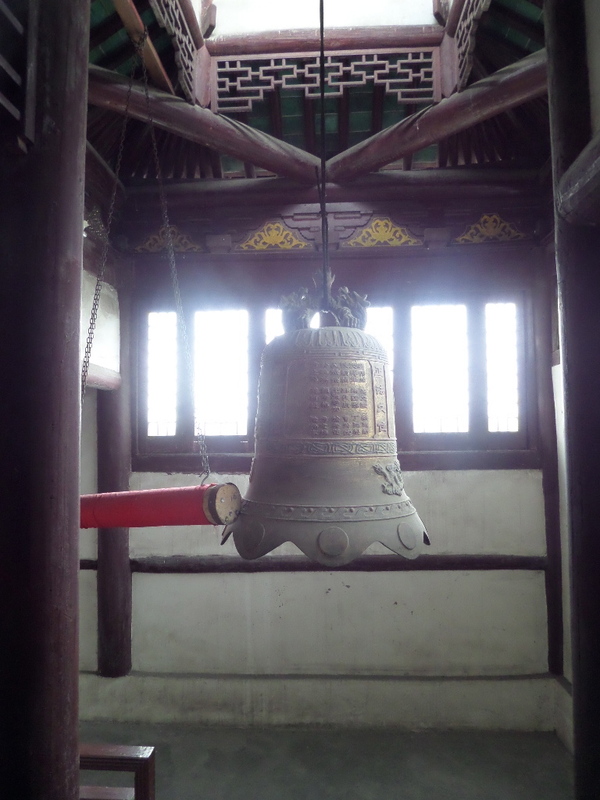 The temple was built to honor a generous man, named JinSan, who became a local hero. He was the official of the Granary and while transporting grain up the river, he distributed some to the starving people living there. Before the Imperial Court could carry out their death sentence for such a crime, he committed suicide. The temple is beautiful in it’s own way. Sure, it’s dirty, but it is well-maintained and used for festivals. Today, the only other person there was a woman working selling incense. 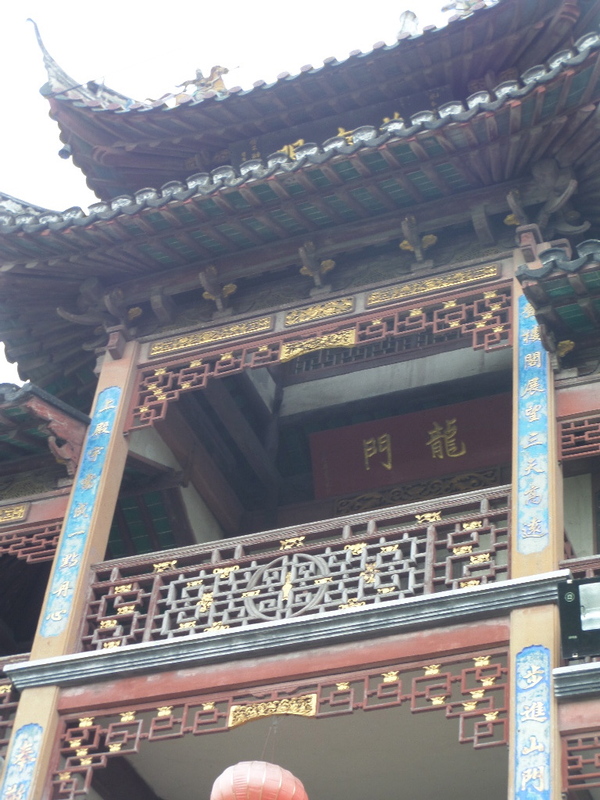 Shezhuang Temple is a Taoist temple (not sure what that is? Read about Taoism here. Ever read The Tao of Pooh? 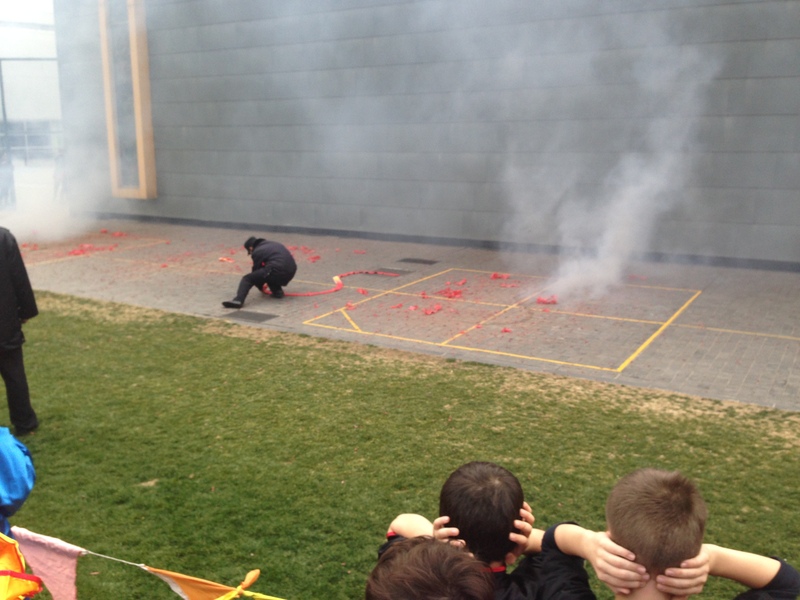 You should never blow on the incense sticks. That’s improper. Enjoy the rest of these photos. I’m looking forward to more of these everyday adventures during my time here. I want to see it all – the good, the bad and the dusty/grimy beauty of ancient history. The three “spikes” on top are a sign of sorts – telling those who want to enter that they must leave their weapons outside. How cool is this bell?